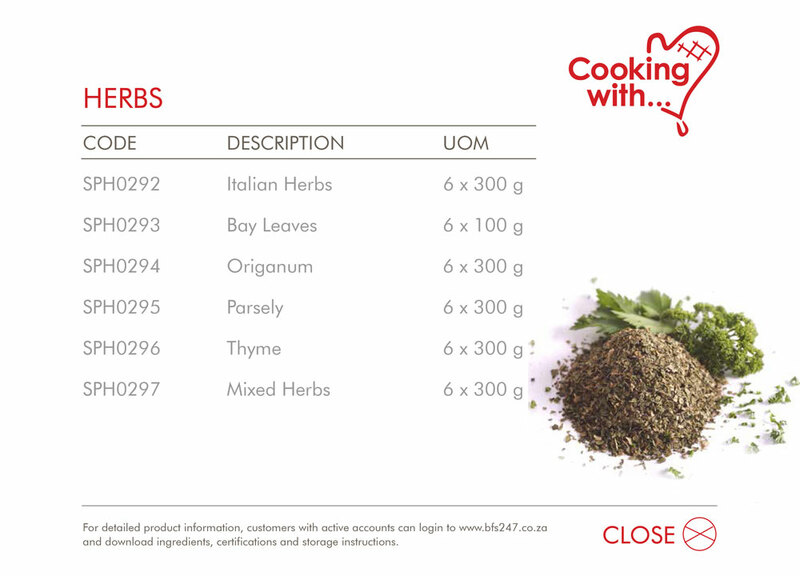 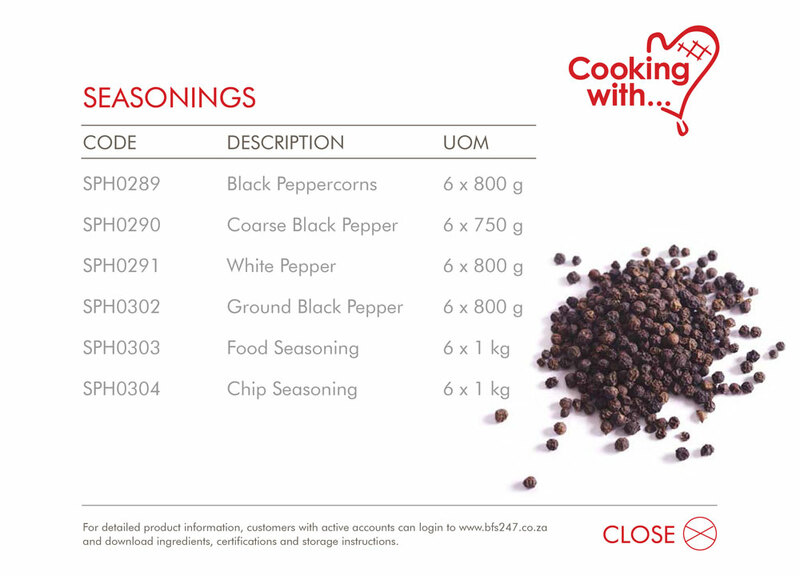 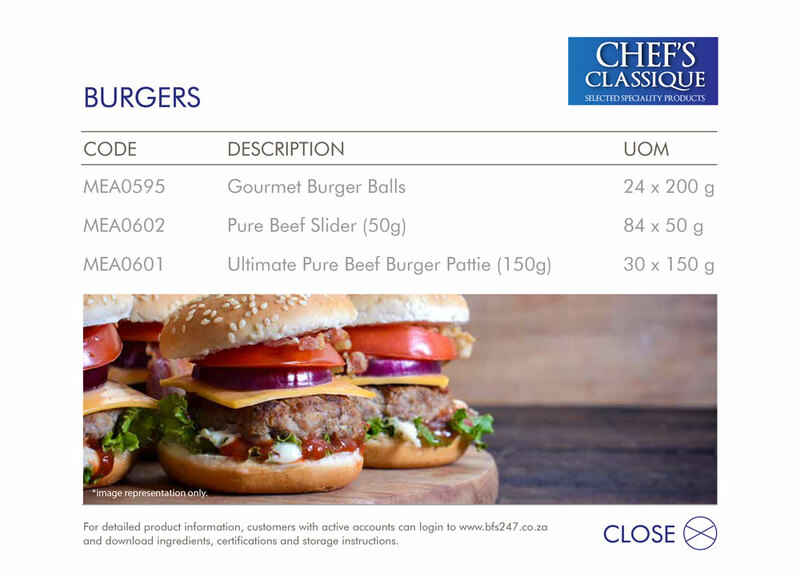 Chef’s Classique offers a select range of speciality sourced products, for chefs who demand an authentic ingredient or flavour profile for the dish that they are preparing. 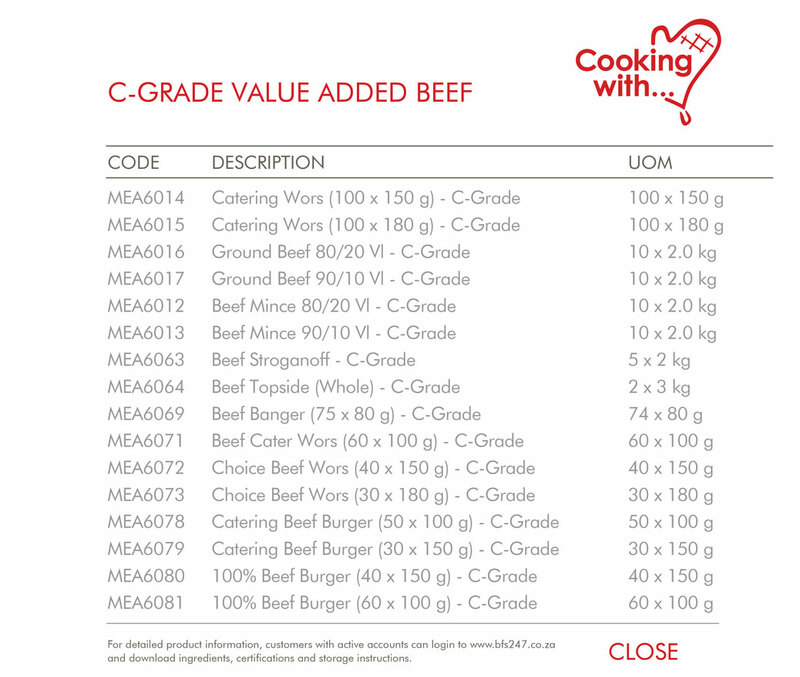 Cooking with... is the smart choice because every chef understands the importance of a product that delivers its promise of quality and affordability. 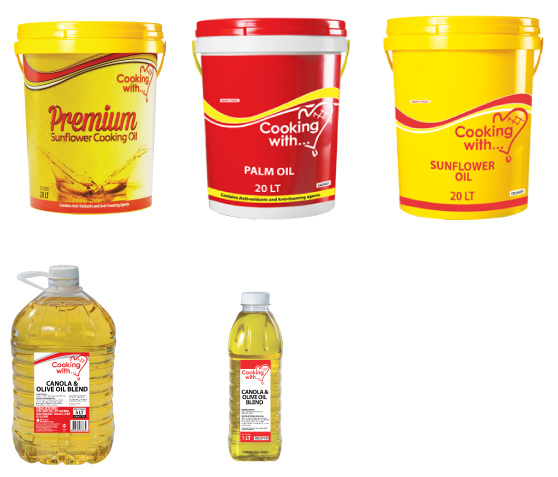 products that delivers our promise of quality and affordability. 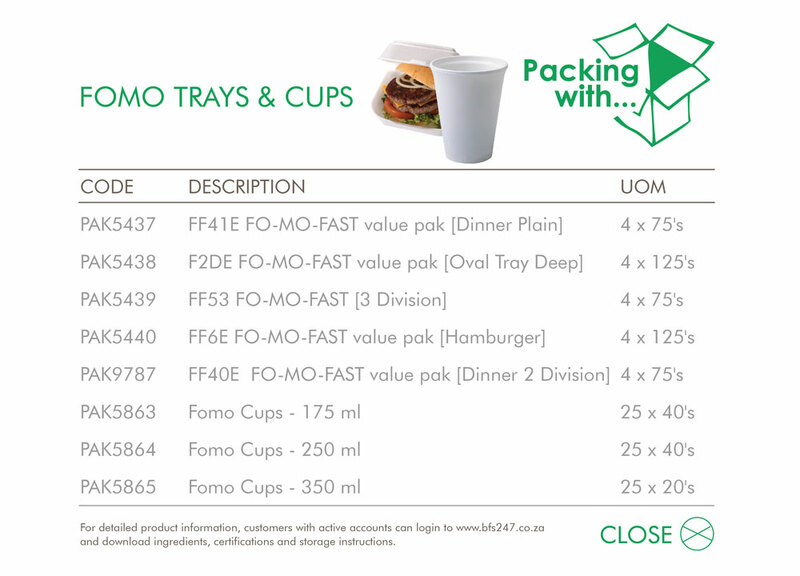 For the Table offers an essential range of convenient table top, patron facing products that will complement the overall presentation of your table across all foodservice channels. 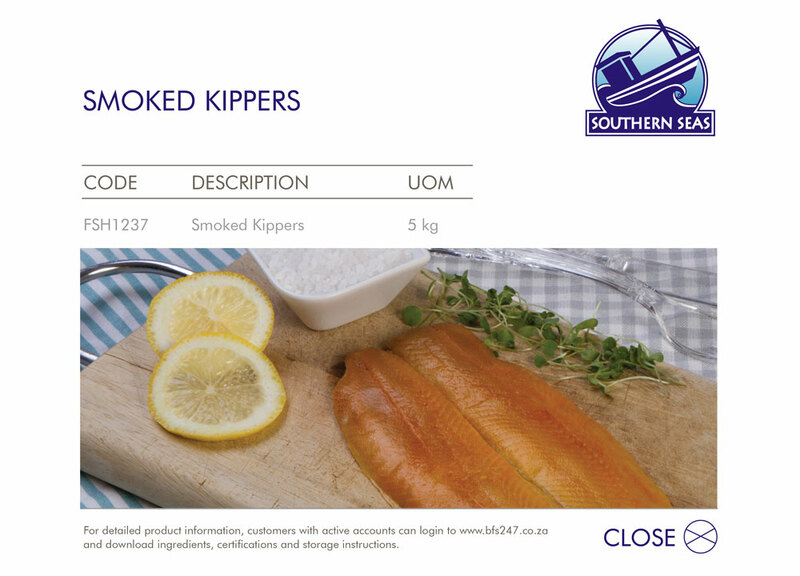 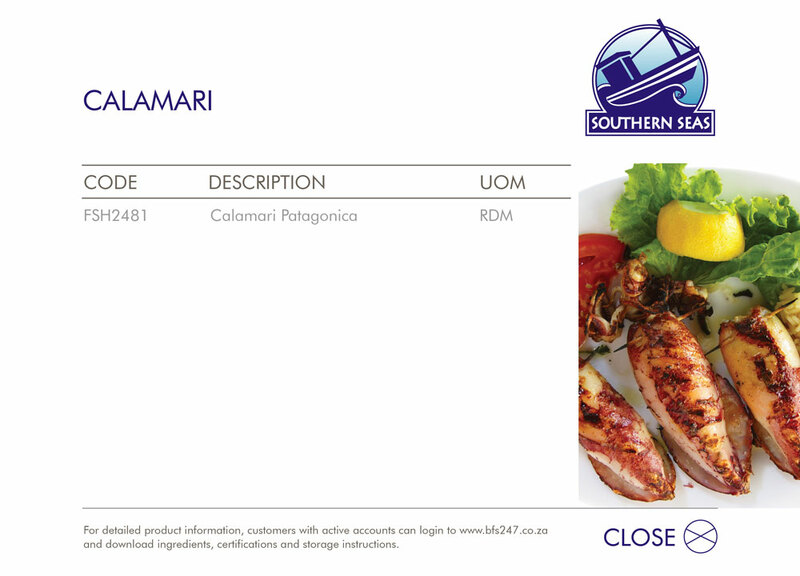 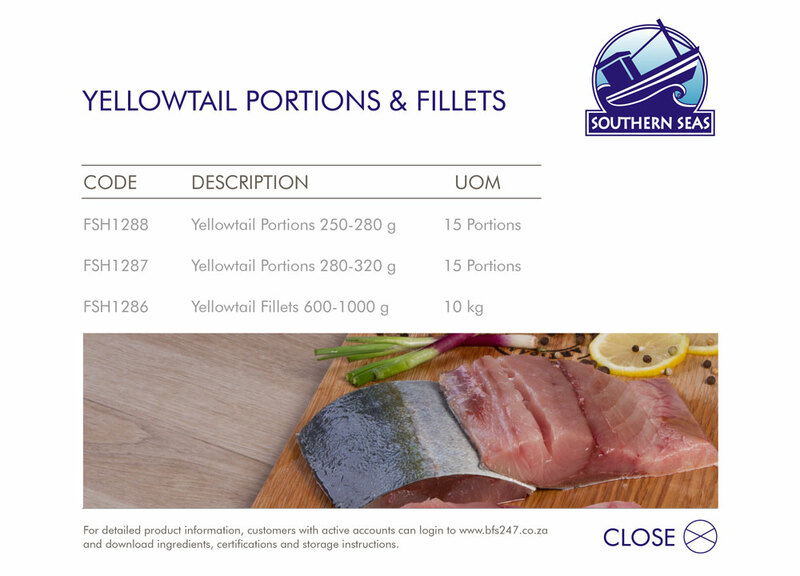 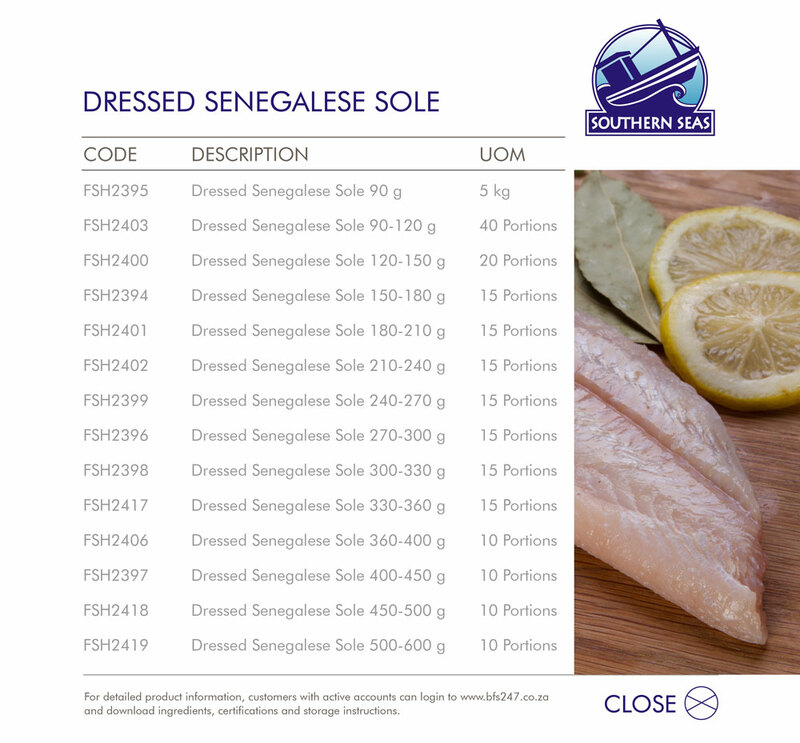 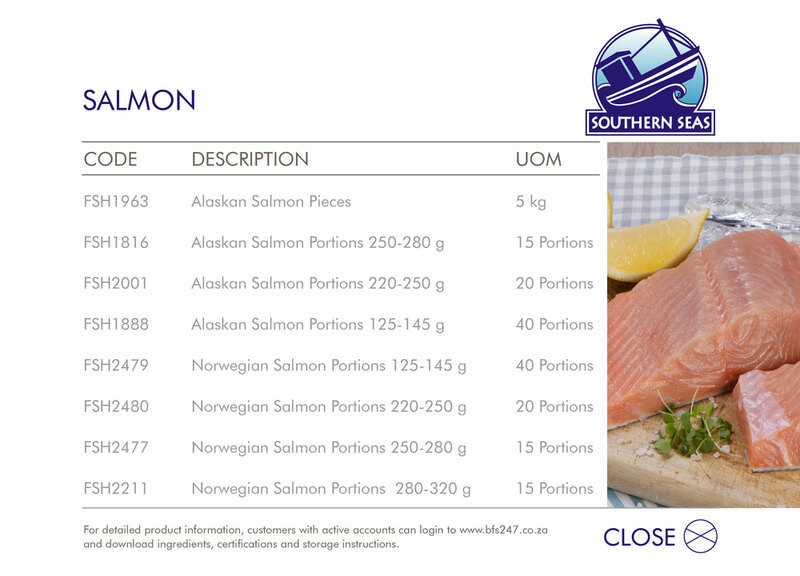 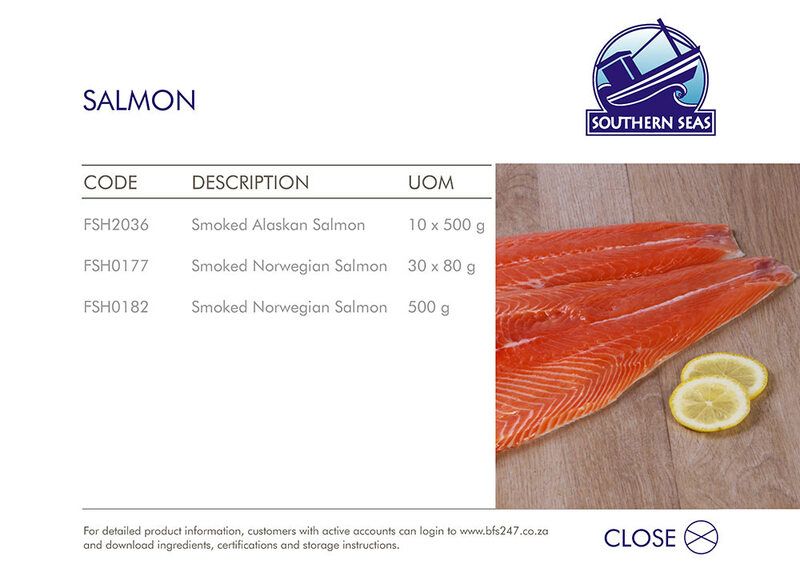 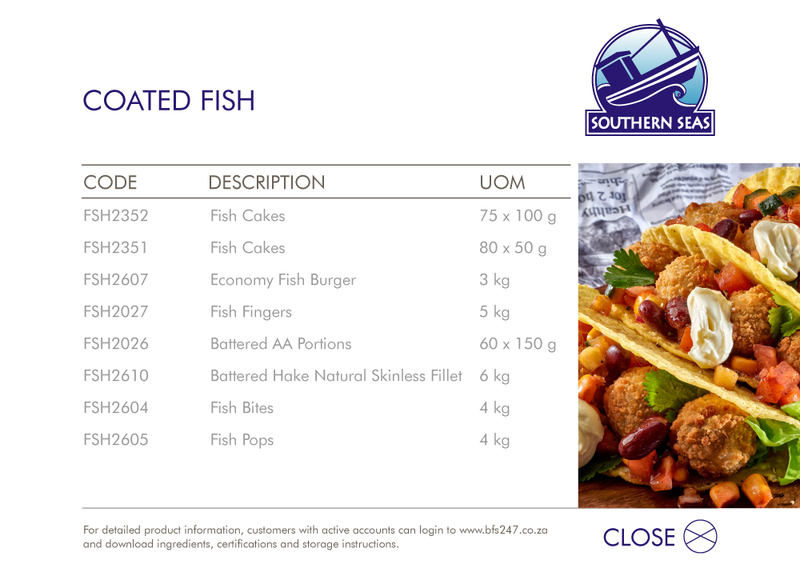 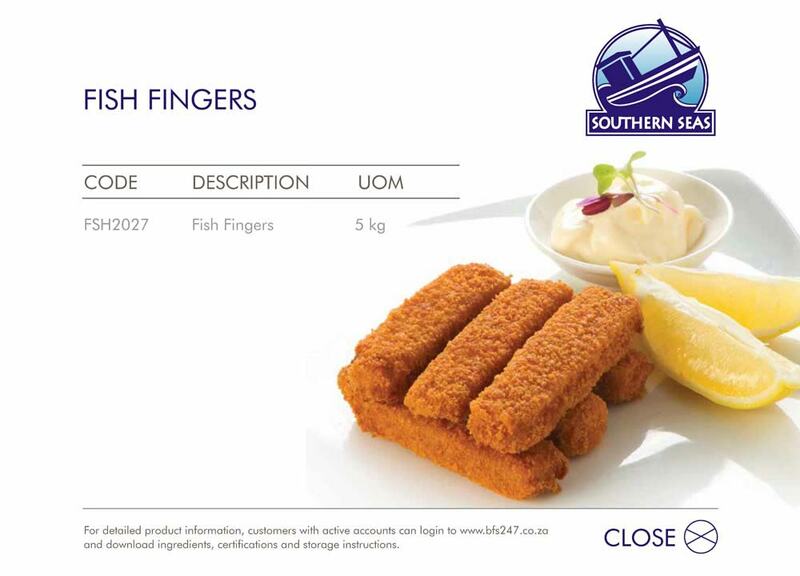 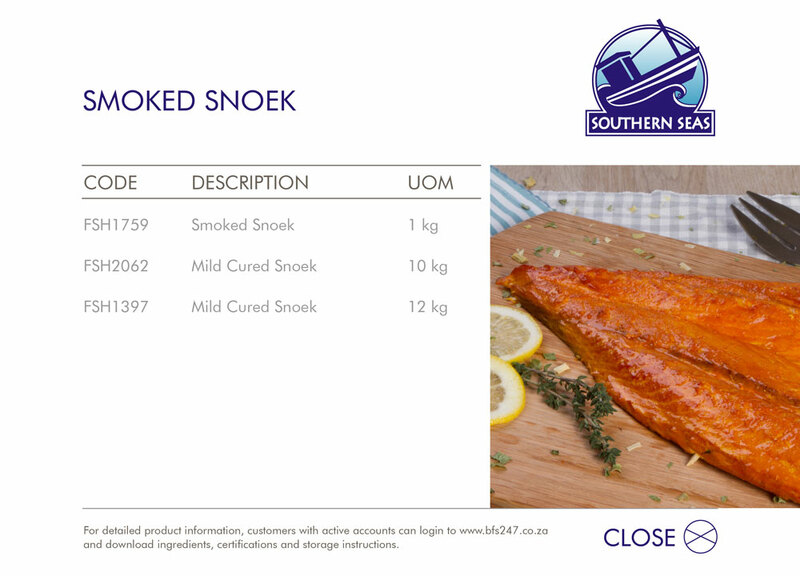 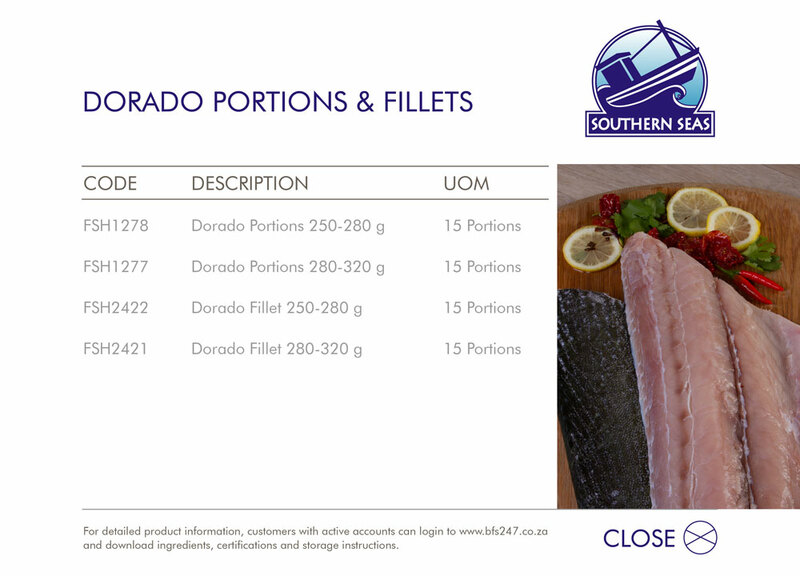 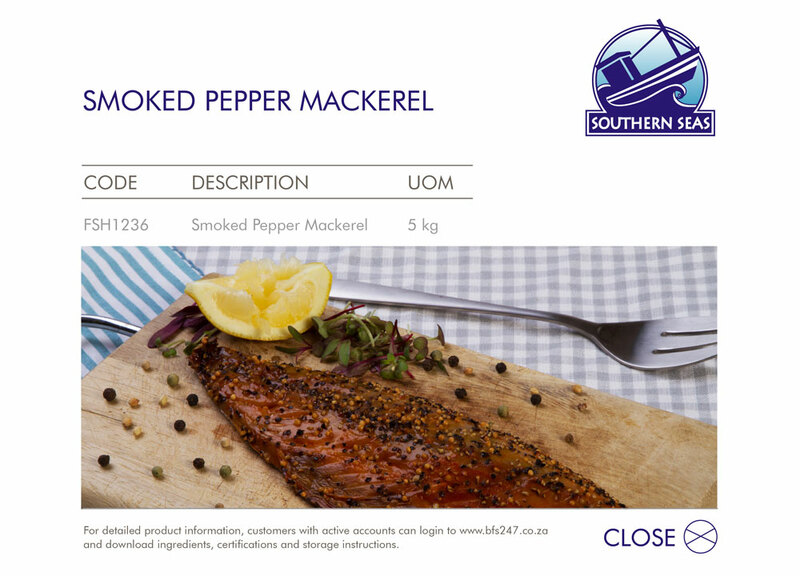 Southern Seas is an inclusive range of raw, smoked and coated fish products. 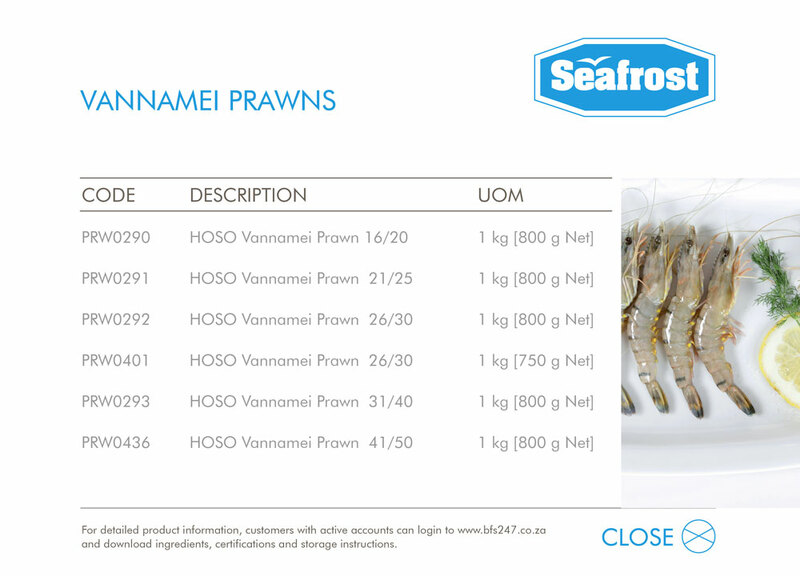 Seafrost offers a range of selected, fine quality seafood products. 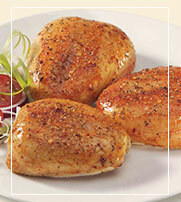 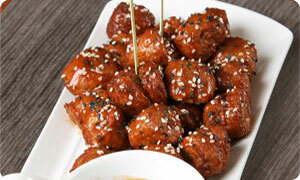 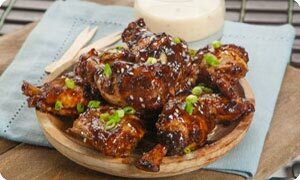 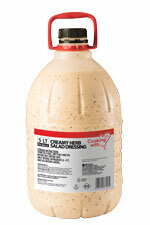 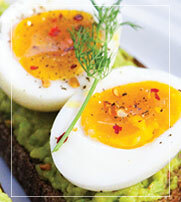 Pre-prepared, value-added, gourmet convenience foods. 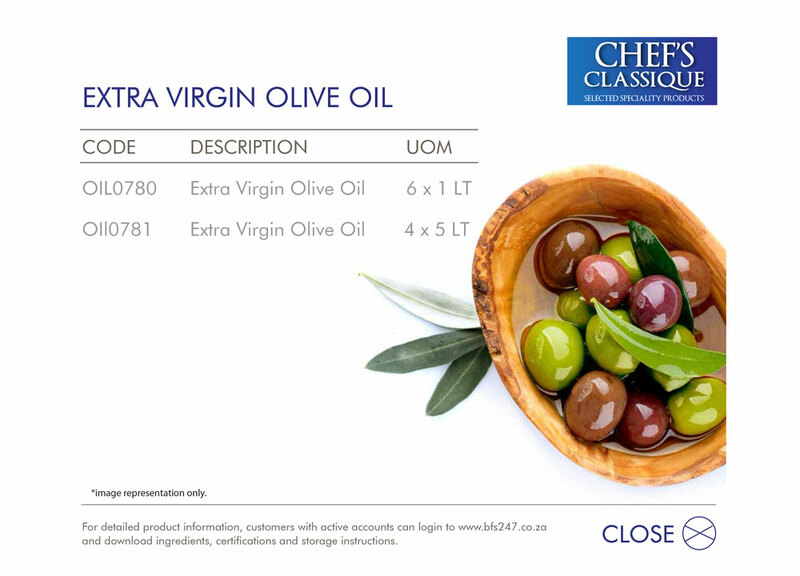 Chef’s Classique Extra Virgin Olive Oil is a blend of mainly Frantoio and Mission cultivars and has a medium fruity character. 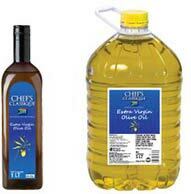 This versatile oil will complement any fish, meat, poultry or salad dish. 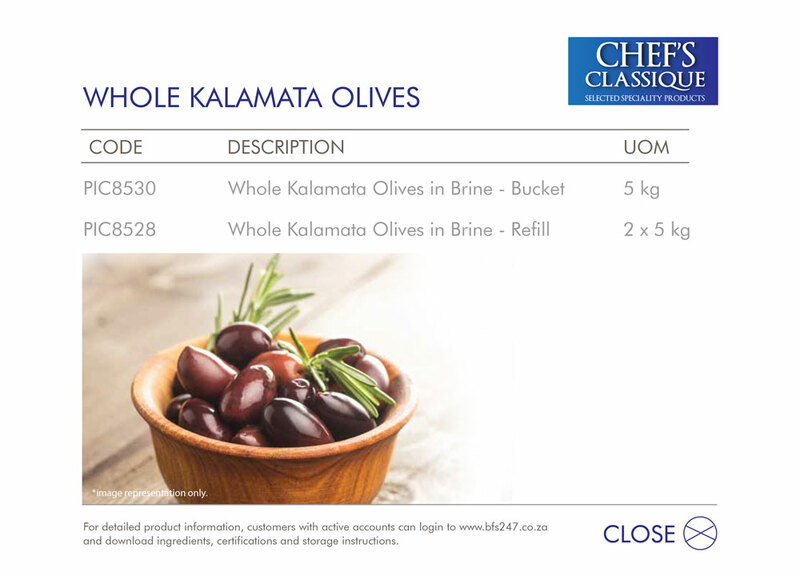 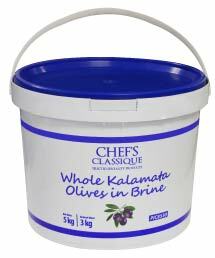 Chef’s Classique Whole Kalamata Olives in Brine are the finest quality genuine Kalamata Olives, distinctively tasty with firm and meaty flesh. 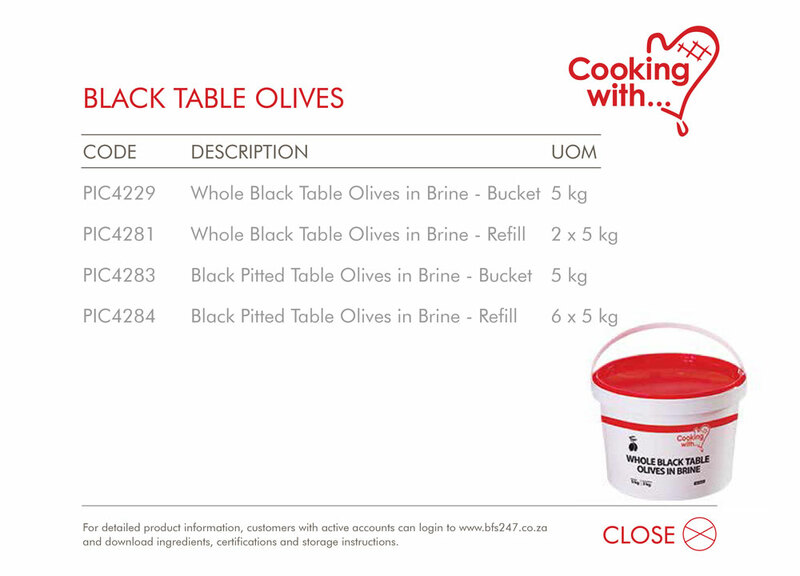 This versatile product is perfect for meze platters, salads, bruschetta toppings, gourmet pizzas, cold meat platters and antipasto plates. 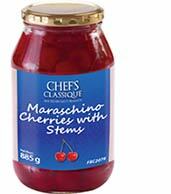 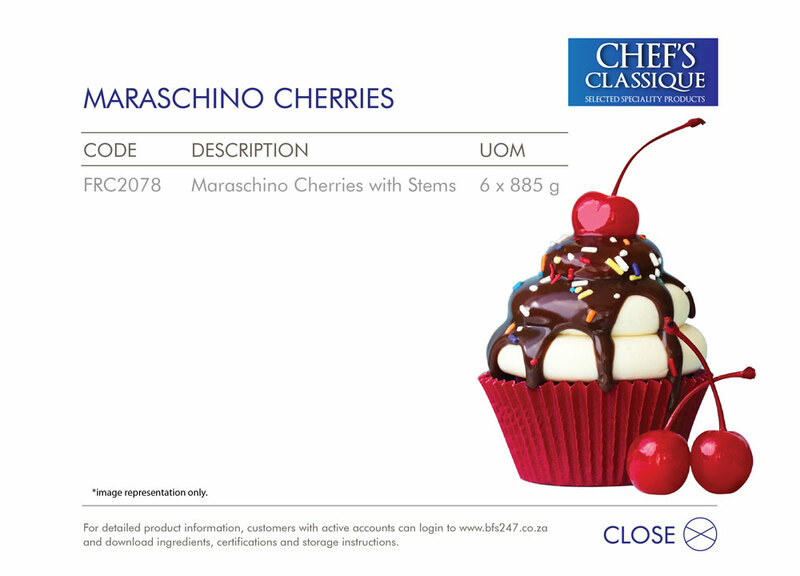 Chef’s Classique Maraschino Cherries with Stems, have a delicious sweet flavour and decadent appearance. 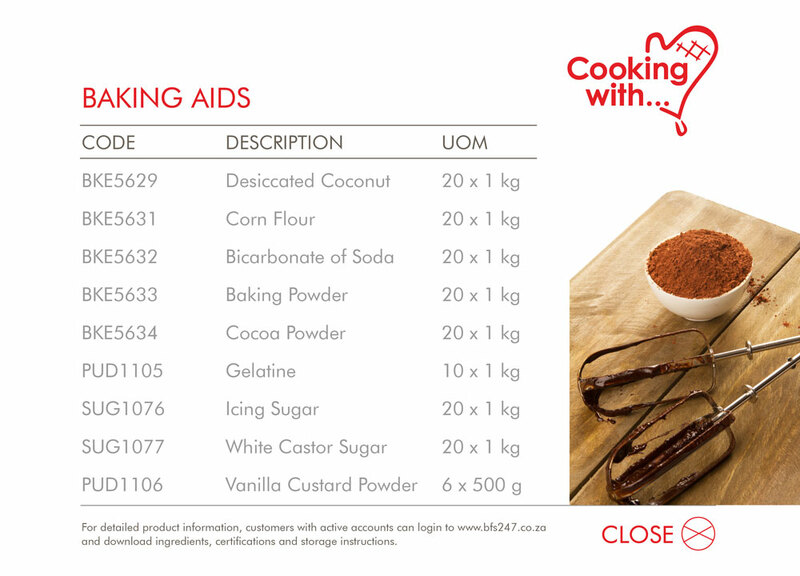 This product adds the finishing touch on desserts, cocktails and milkshakes. 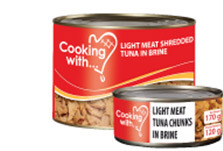 Store, Thaw & Serve! 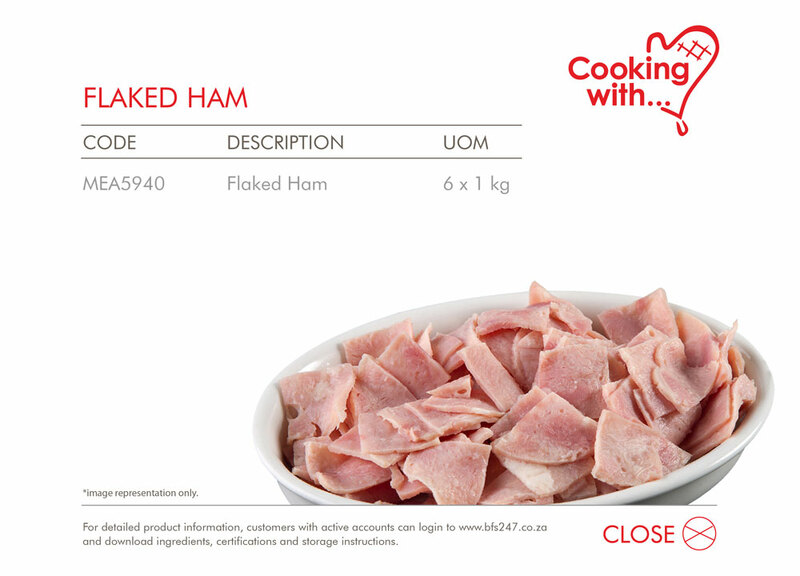 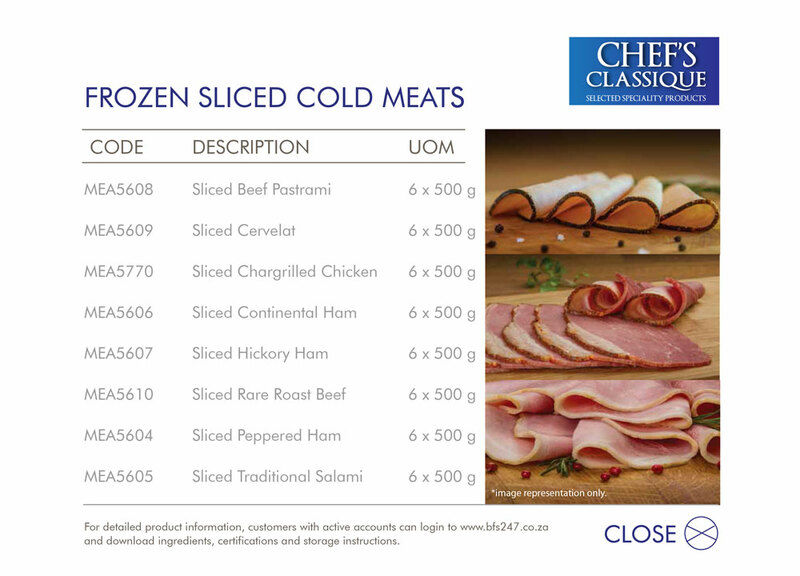 Chef’s Classique Frozen Sliced Cold Meats are the ultimate convenience and a useful alternative to chilled sliced cold meats. 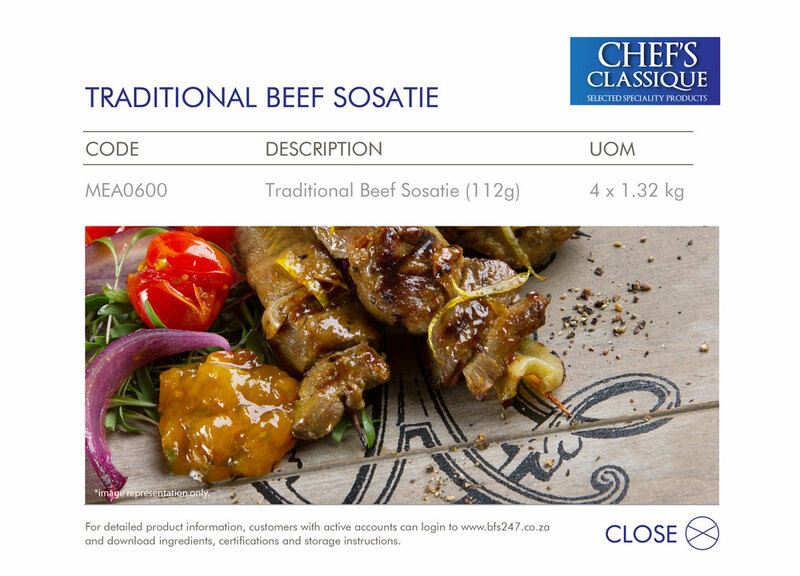 A must for every menu, Chef’s Classique has teamed up with Sparta Beef to bring you a range of premium chilled red meat primals, including Fillet, Rump, Silverside, Topside, Ribeye and Sirloin. 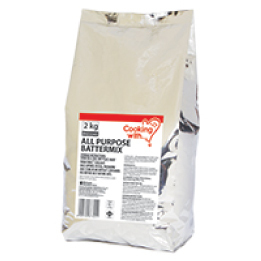 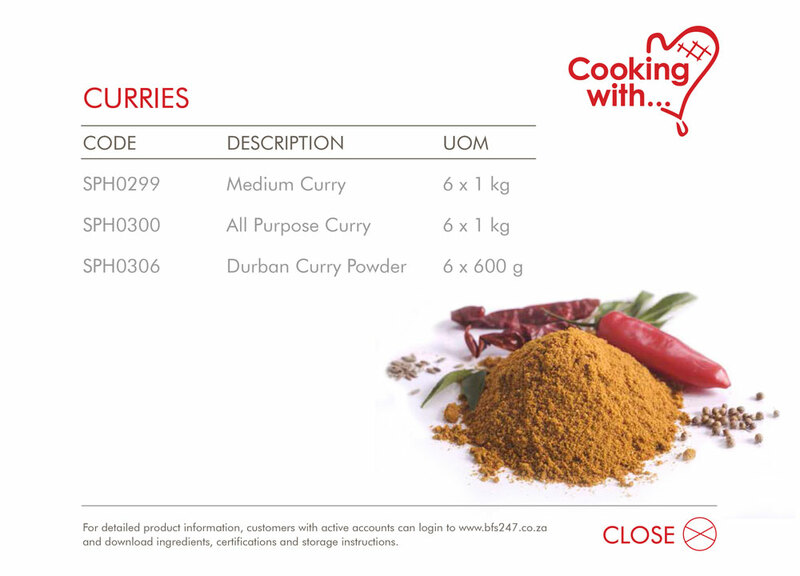 Available in 10 kg & 20 kg packs! 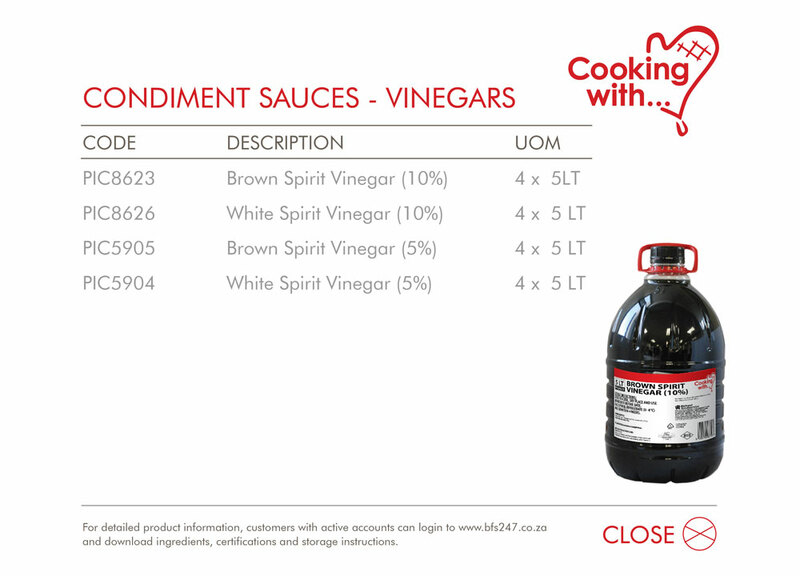 Perfect for restaurants & hotels. 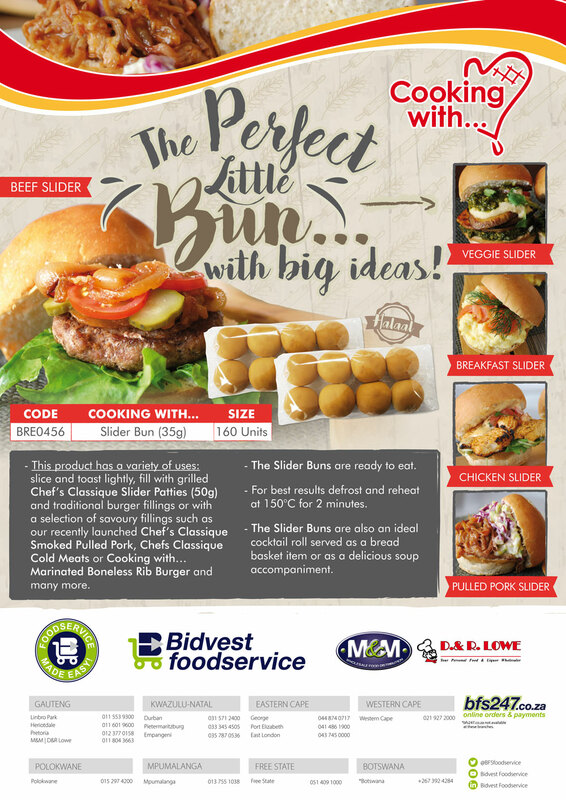 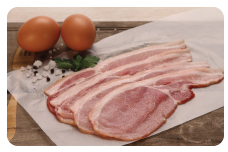 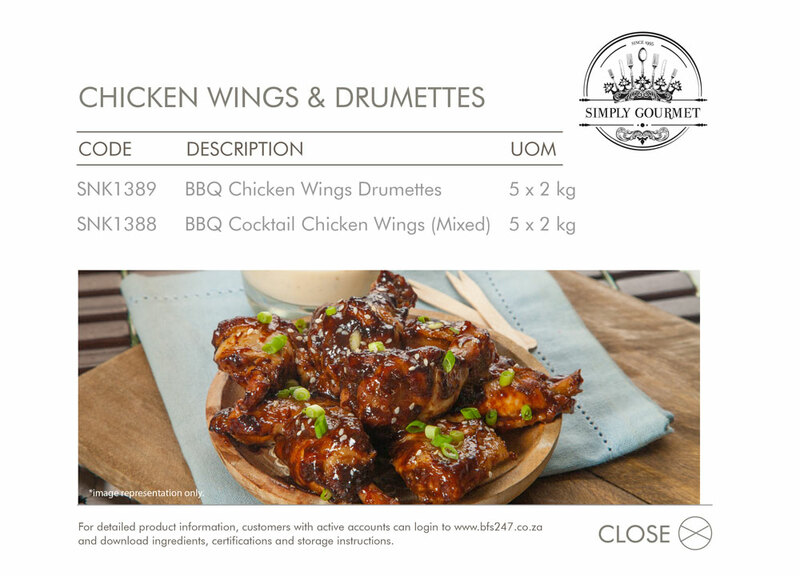 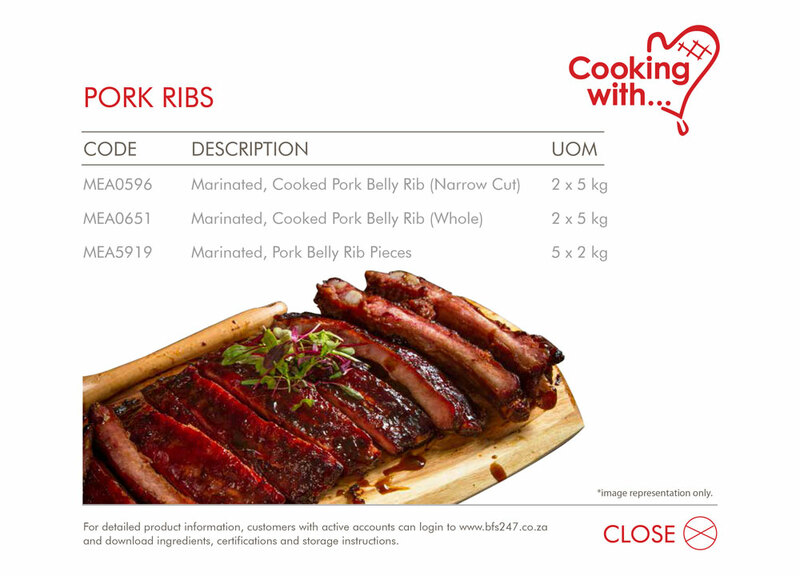 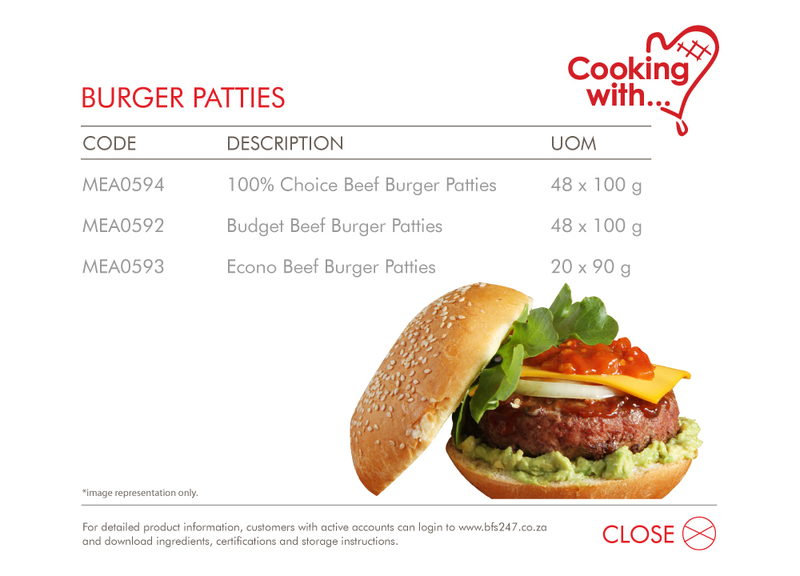 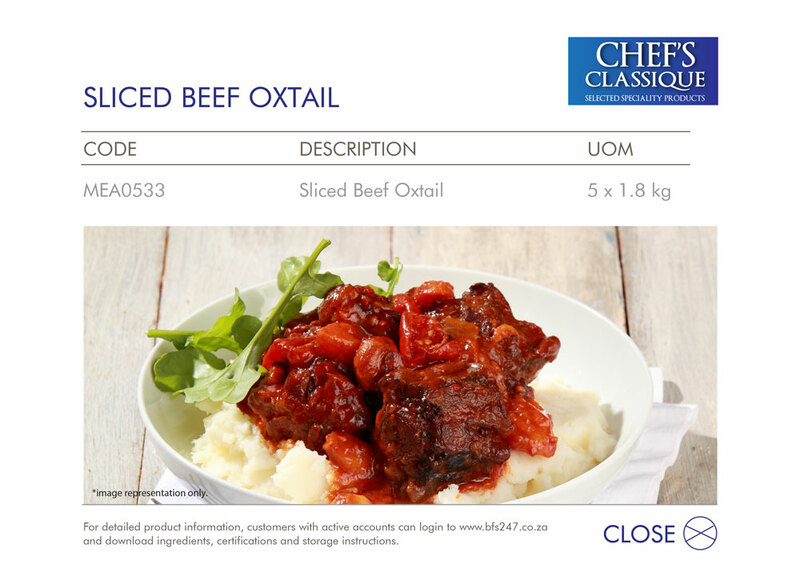 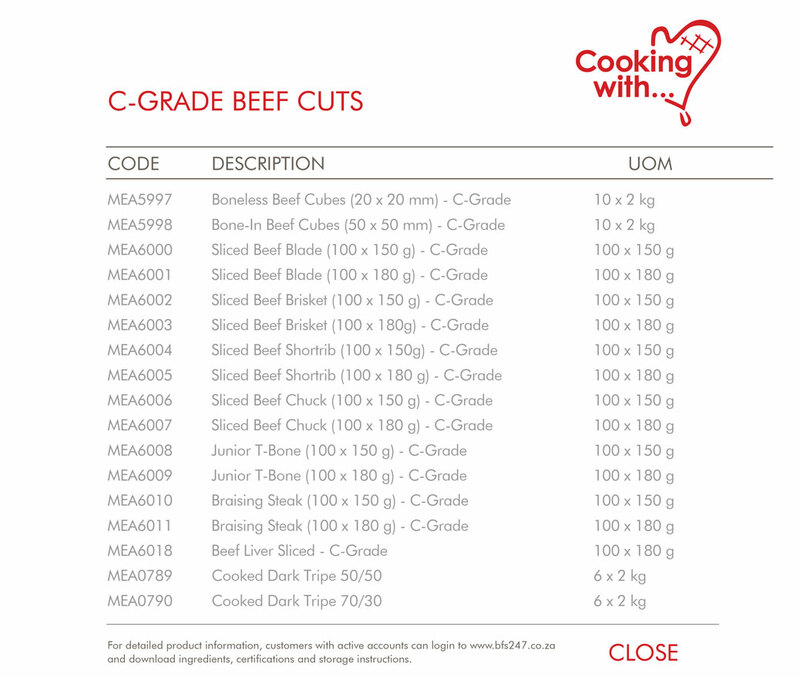 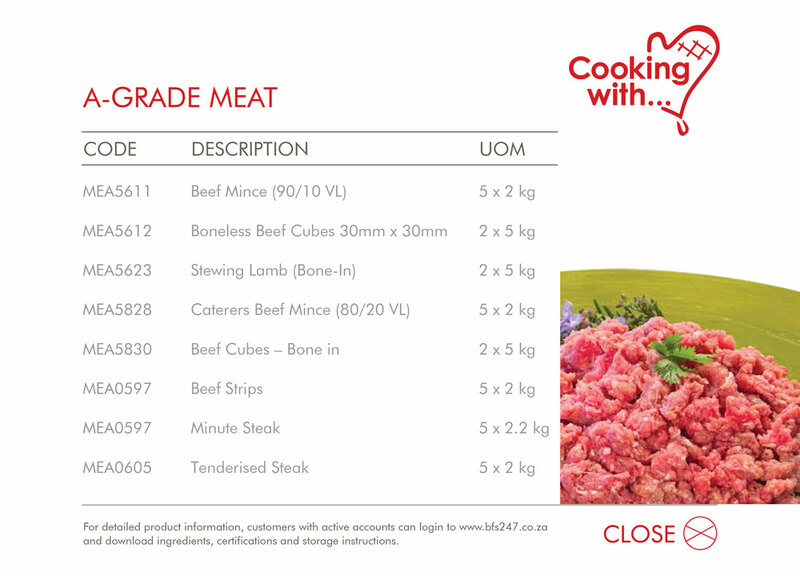 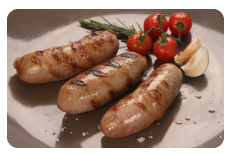 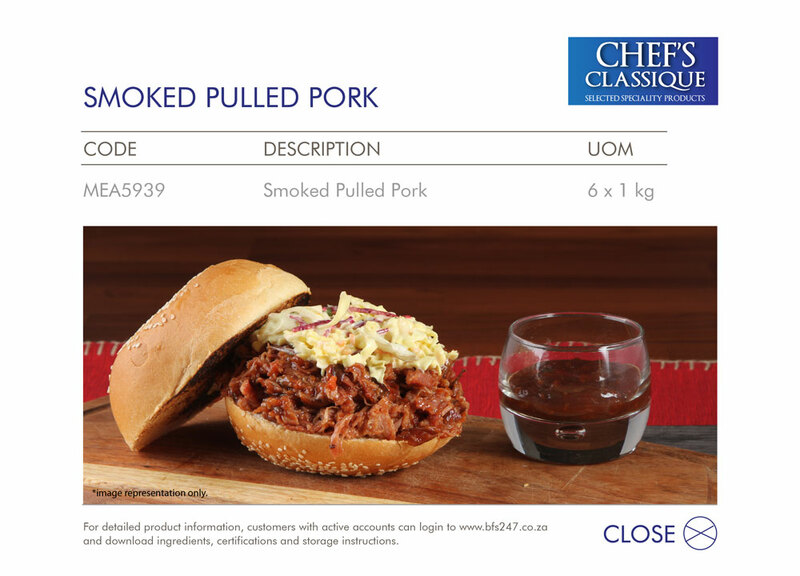 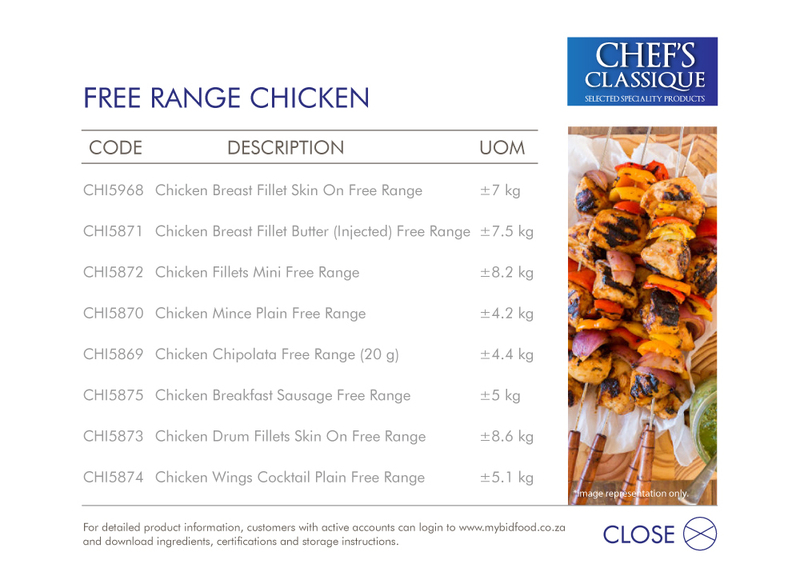 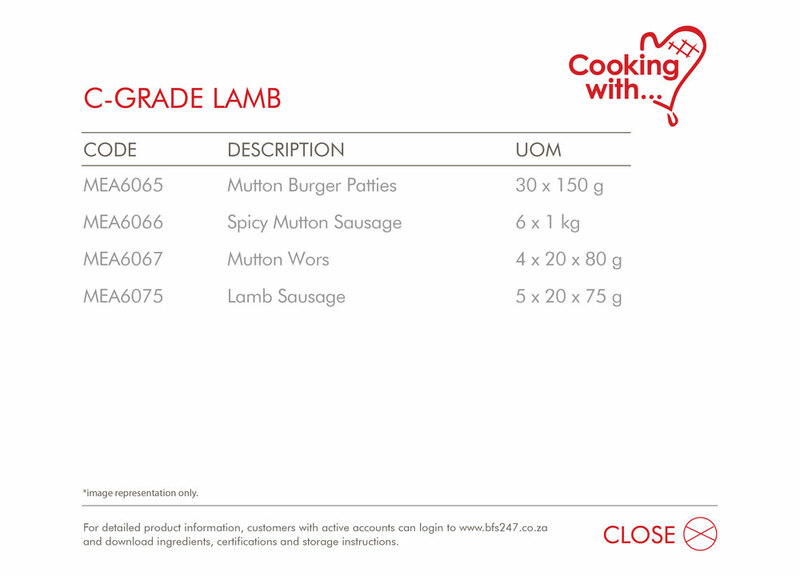 Chef’s Classique Frozen Meat Range offers you a range of gourmet and premium value added meat products that are a competitively priced top end offering. 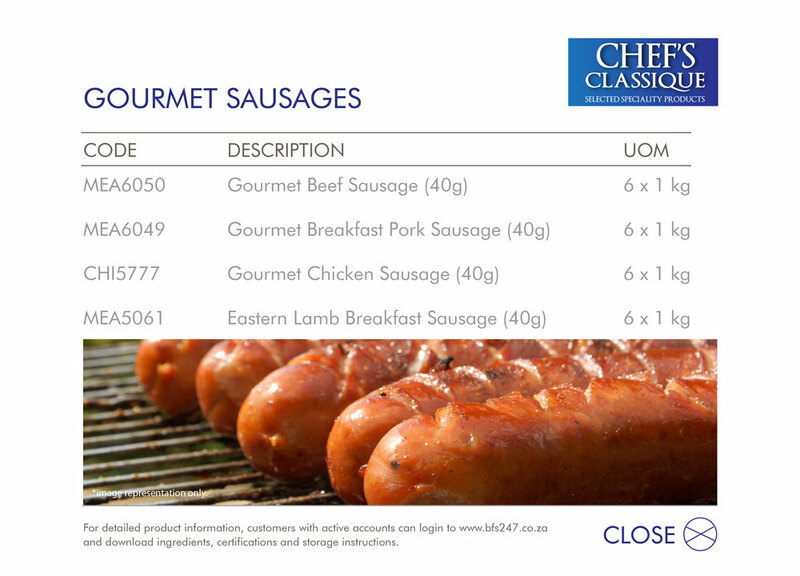 Simple enough to serve on a breakfast bagel and delicious enough to serve on a main or an ala carte menu. 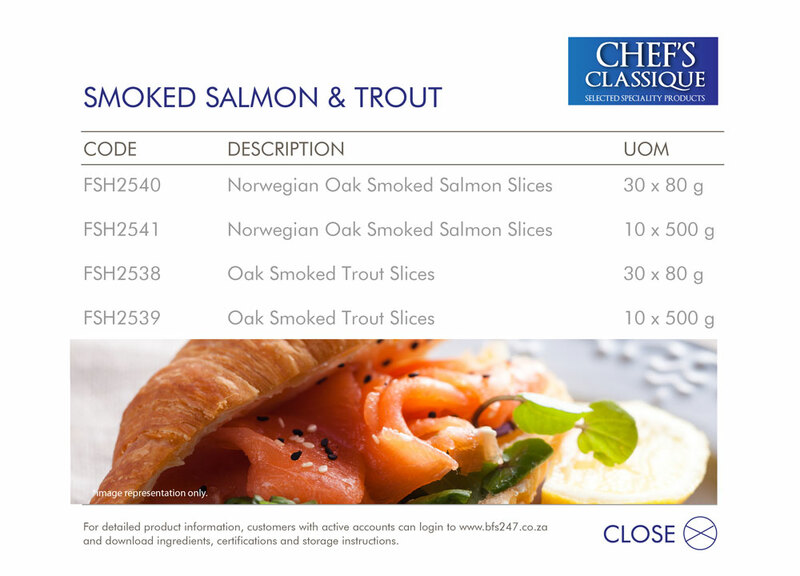 Create mouth-watering dishes using Chef’s Classique Oak Smoked Norwegian and Oak Smoked Trout Slices. 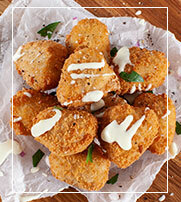 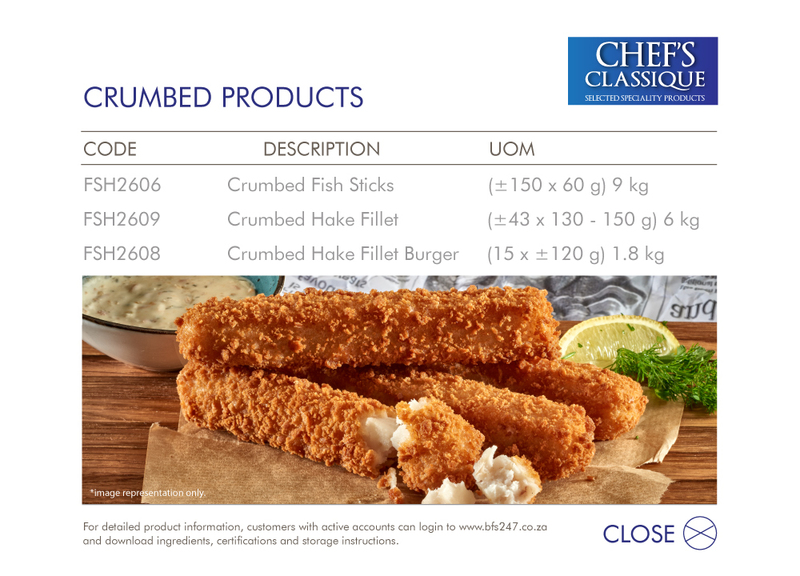 Gourmet range of value-added ciabatta crumbed fish sticks, natural hake fillets and fish burgers. 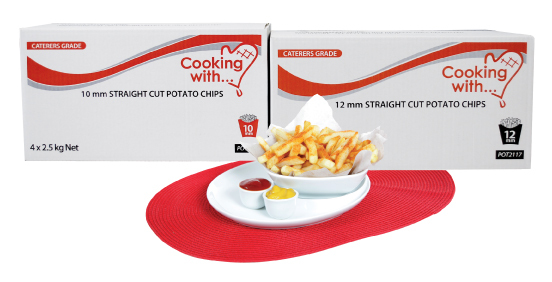 These are a great option for light and delicious meal solutions. 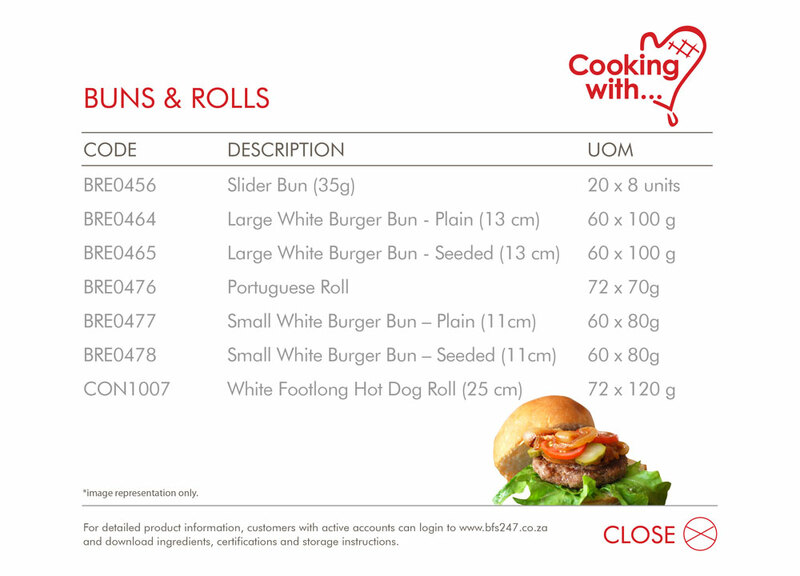 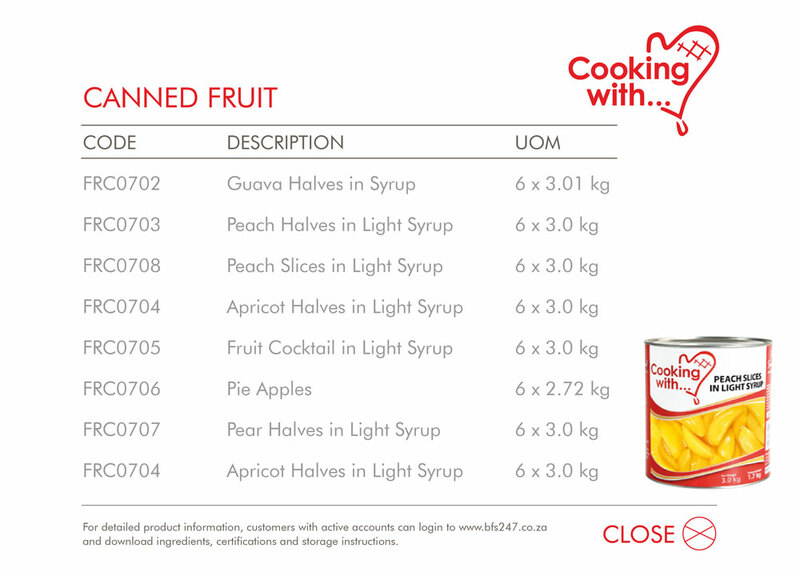 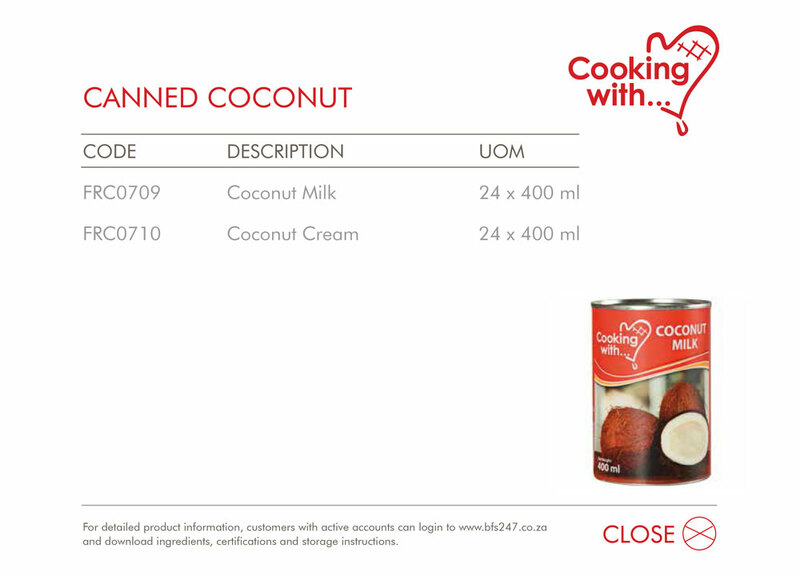 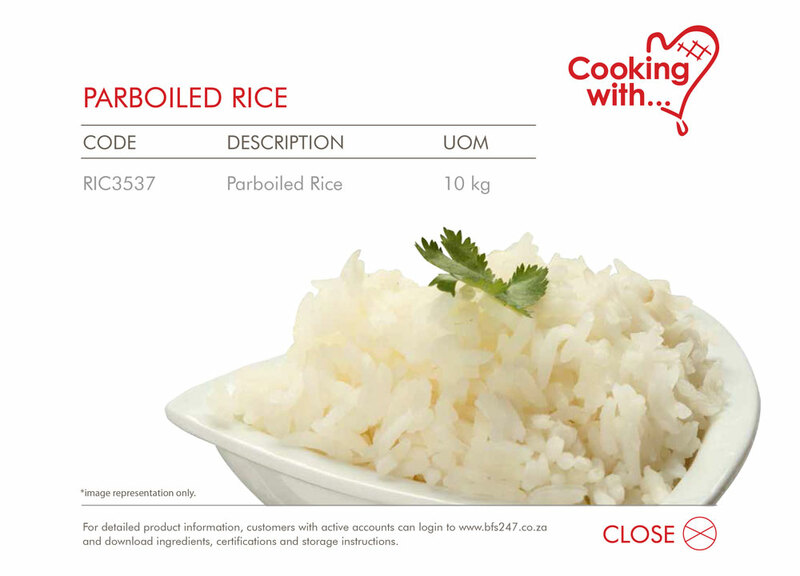 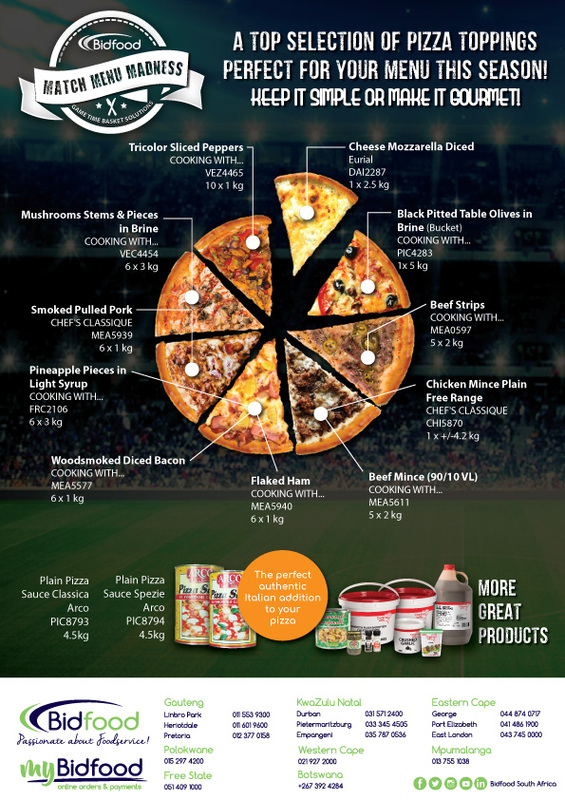 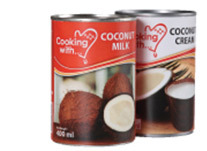 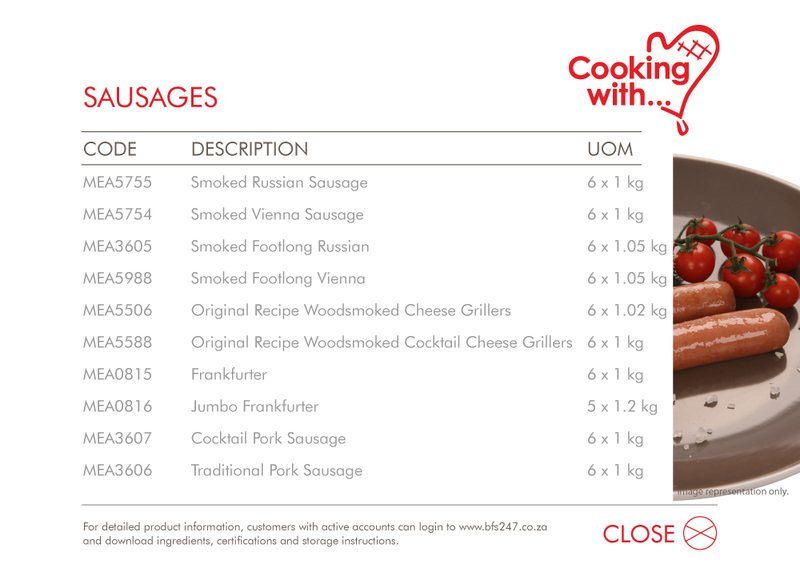 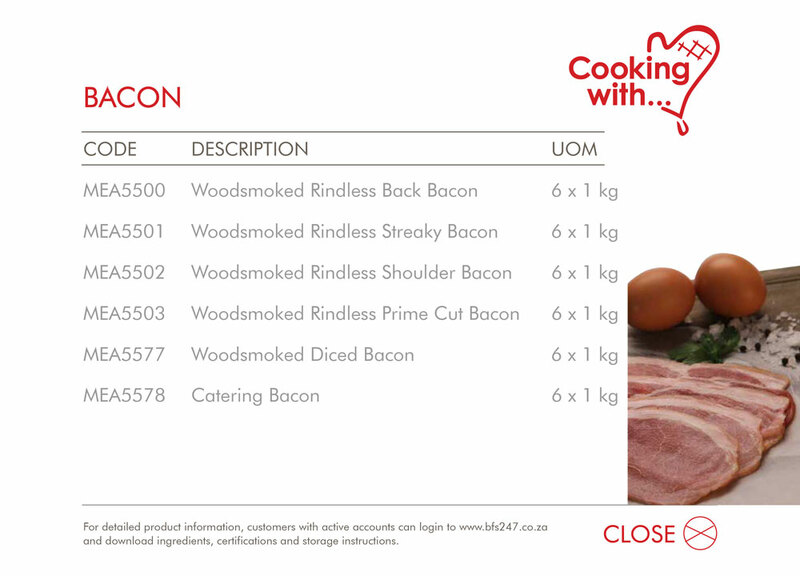 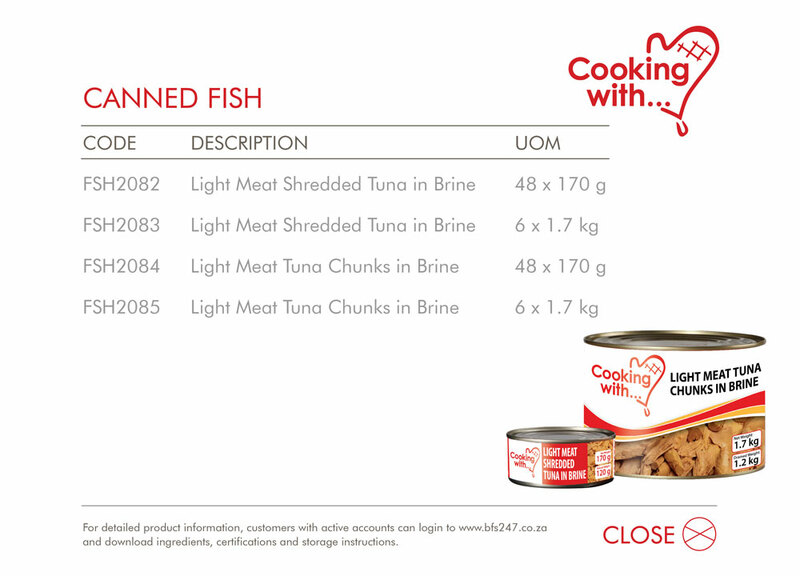 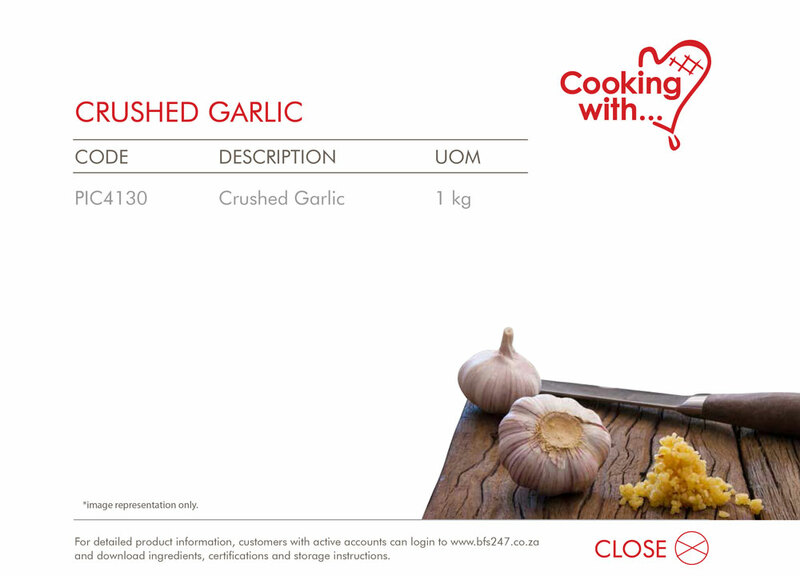 Cooking with... is the chefs smart choice of a cost effective and versatile range of ambient grocery products. 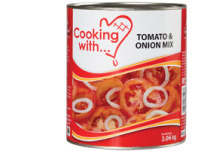 Cooking with... canned products are the chefs smart choice for a reliable, tasty, cost effective range of products that deliver consistent quality, while save you time and money. 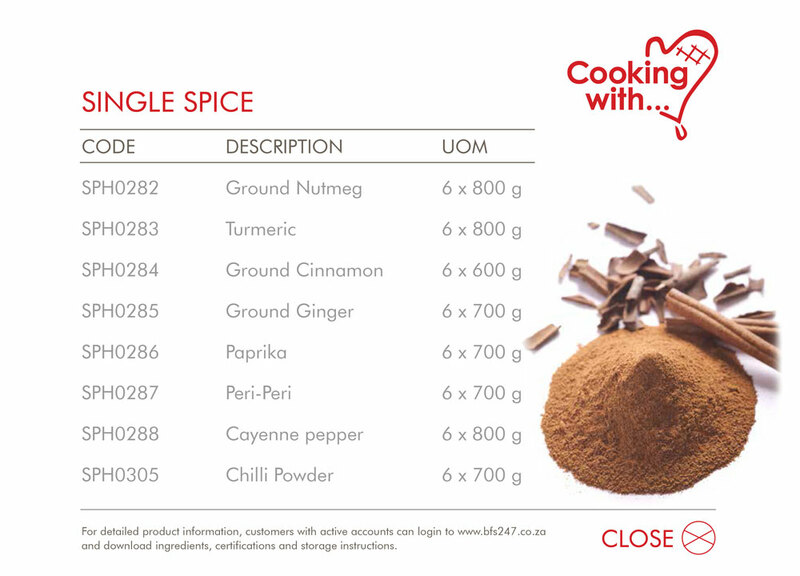 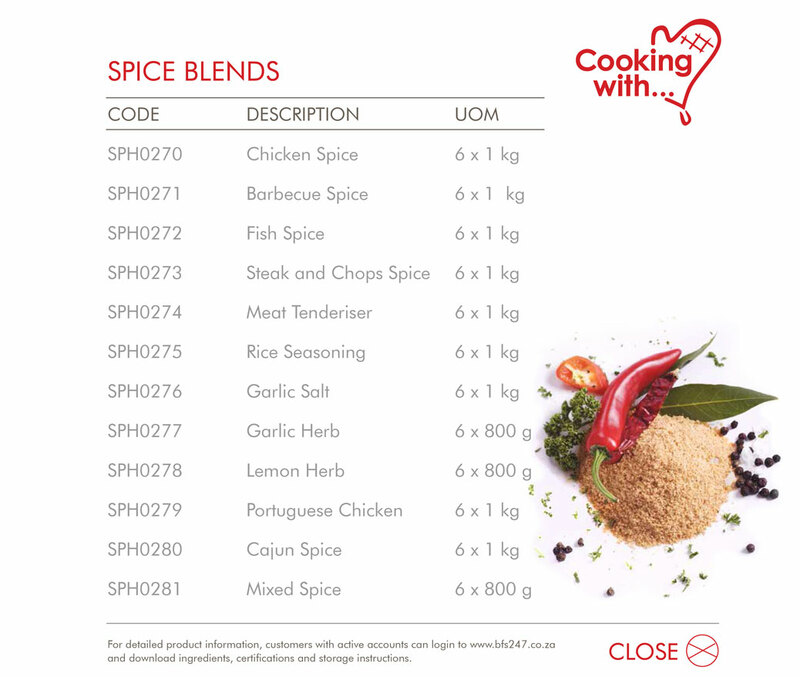 Cooking with... offers a comprehensive range of quality spice, spice blends, herbs, seasonings and curries. 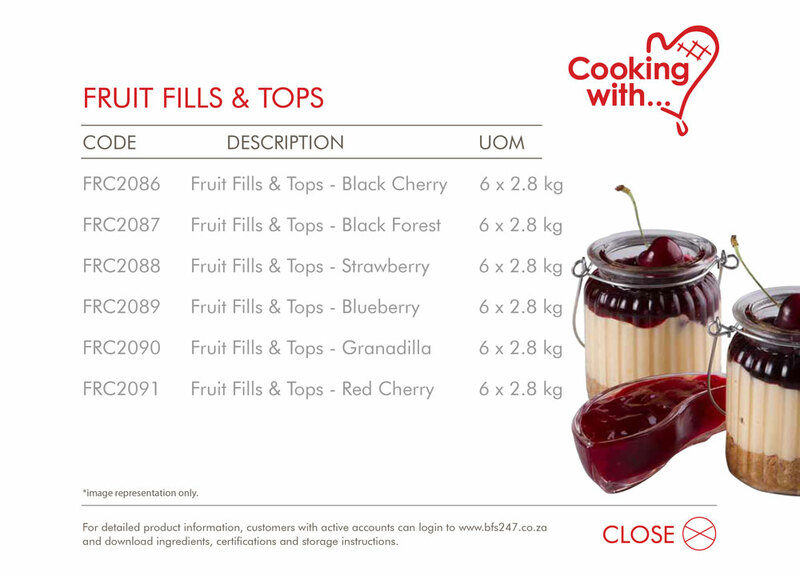 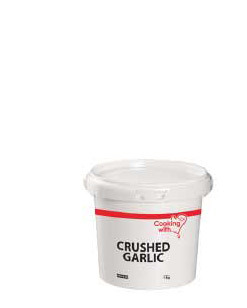 Conveniently packed into re-sealable tubs, that are easy to store (maintaining flavour, colour, aroma and texture), these products offer great taste and value for money. 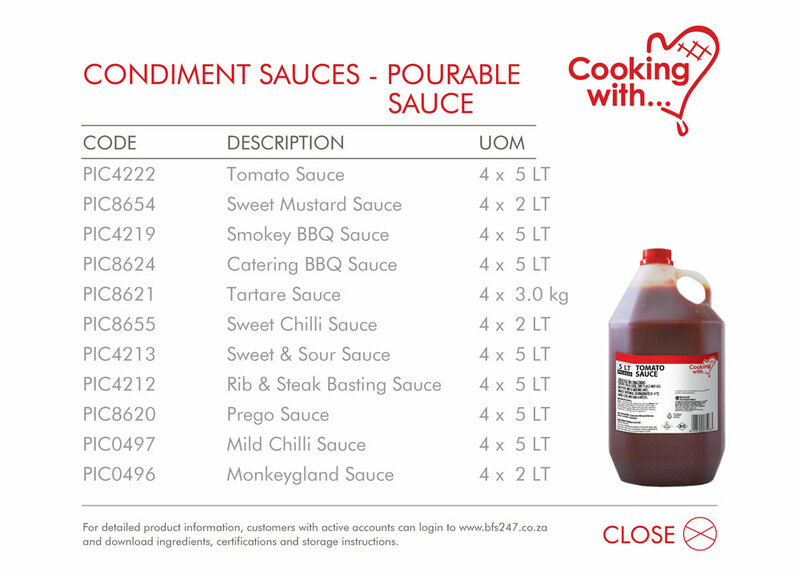 Cooking with... Sauces are the chefs smart choice for a cost effective and versatile range of sauces to suit every establishments requirements. 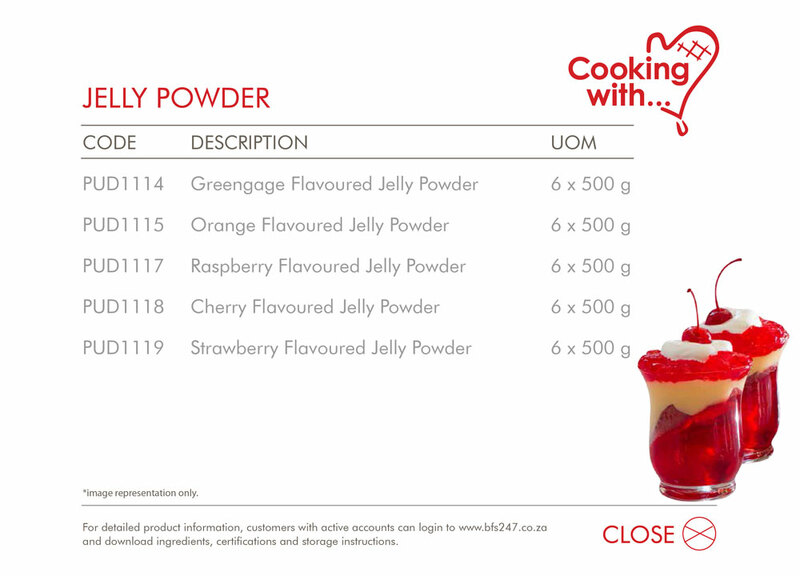 Cooking with… Jelly, Baking Ingredients, Fruit Fills, and Tops are the Chefs Smart Choice for a comprehensive range of cost effective ingredients to create enticing desserts,cakes and savoury treats. 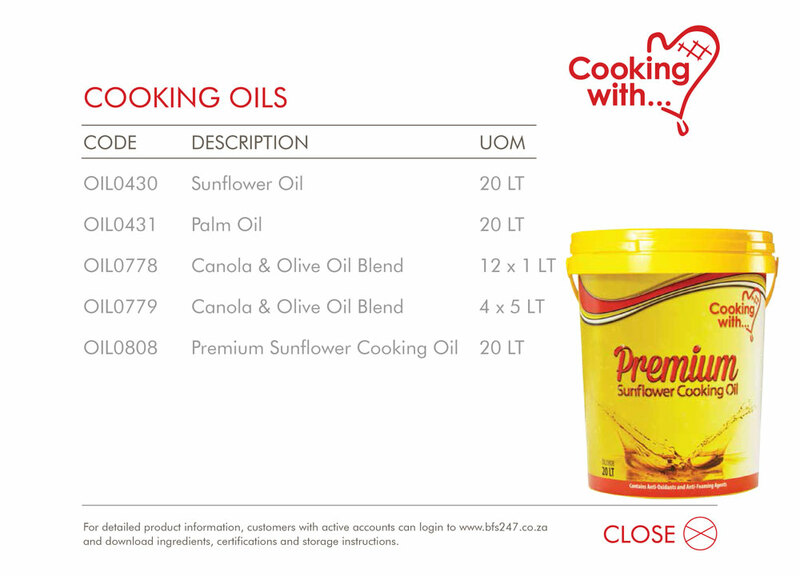 Cooking with... supplies a comprehensive range of cooking oils to suit the food service operators specific frying requirements. 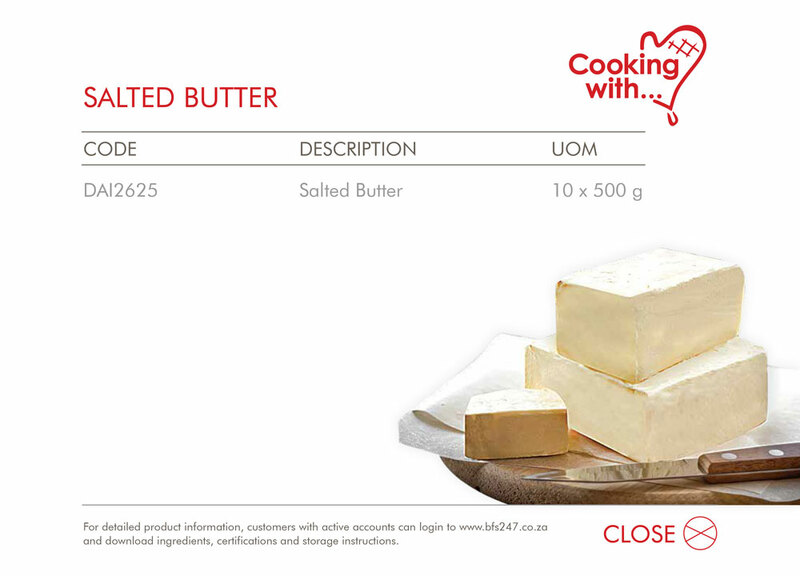 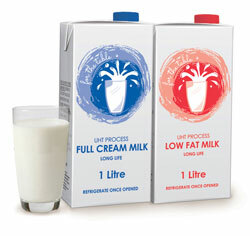 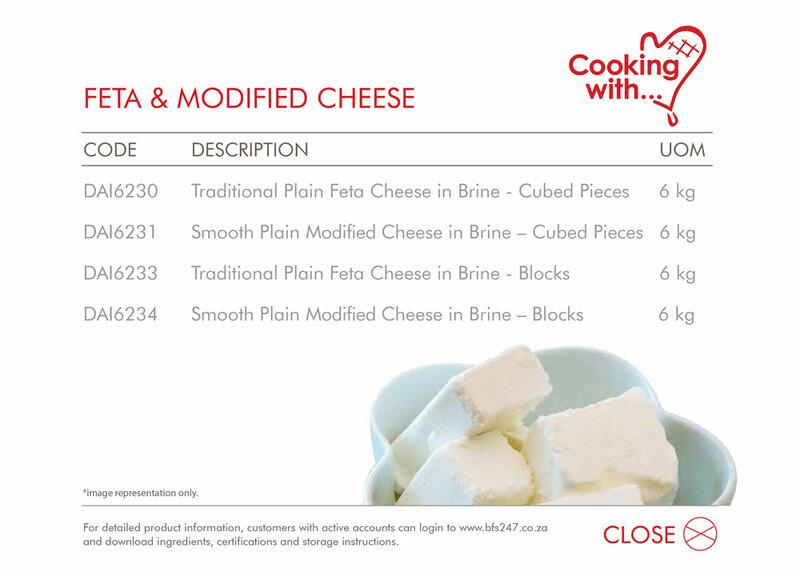 Cooking with... is the chefs smart choice for a cost effective range of dairy products that are suitable for every establishments requirements. 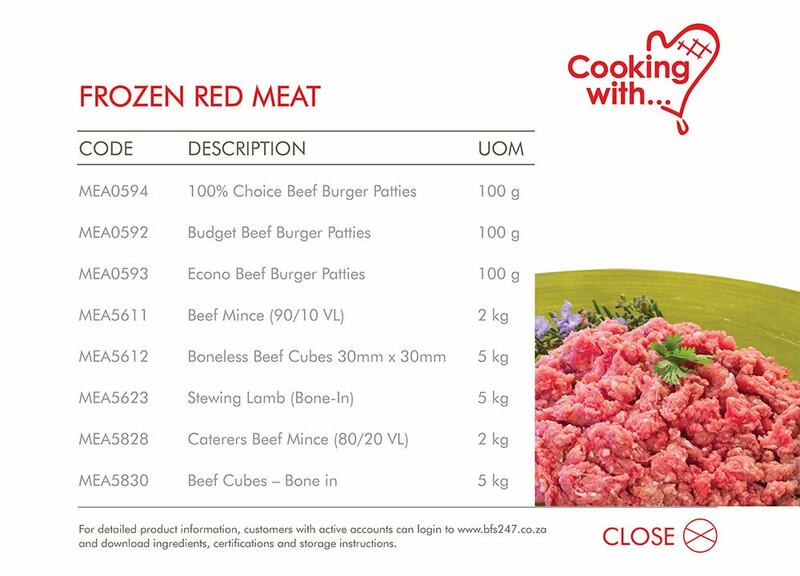 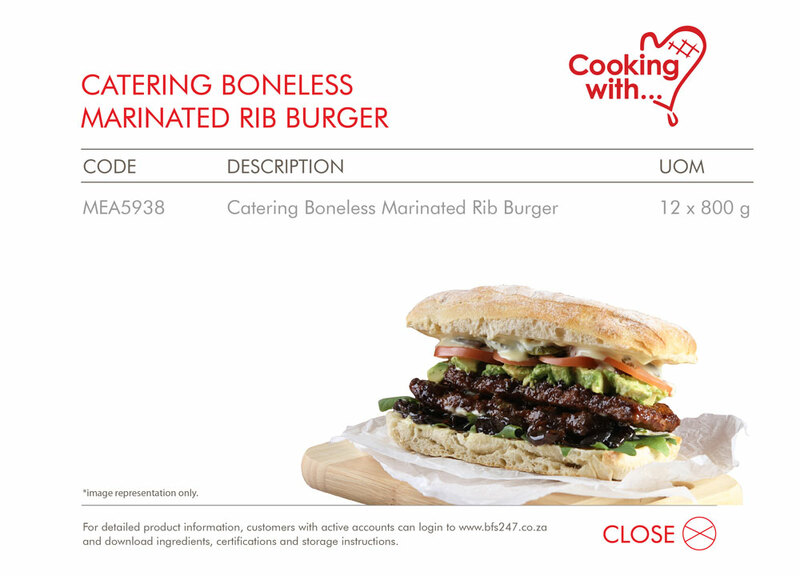 Cooking with… Frozen Red Meat is sourced from a reputable South African meat supplier. 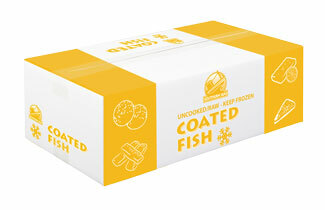 Conveniently packed and frozen. 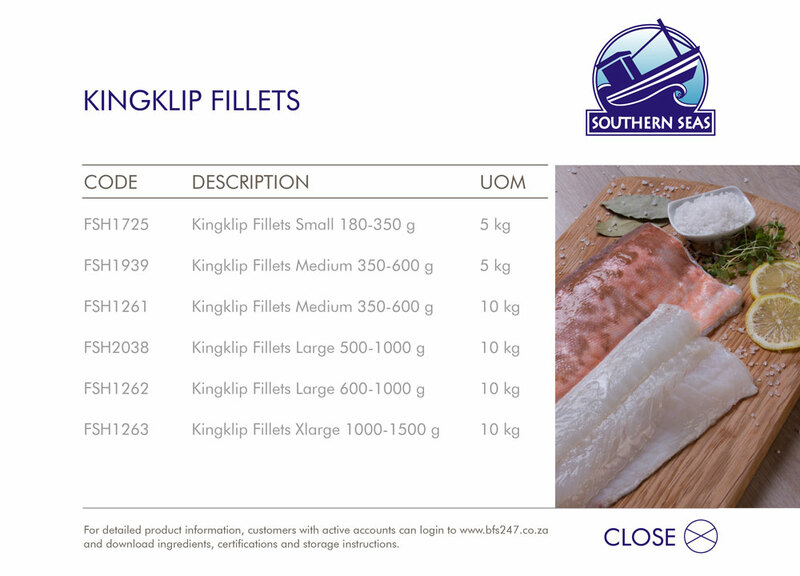 Affordable value and consistent quality. 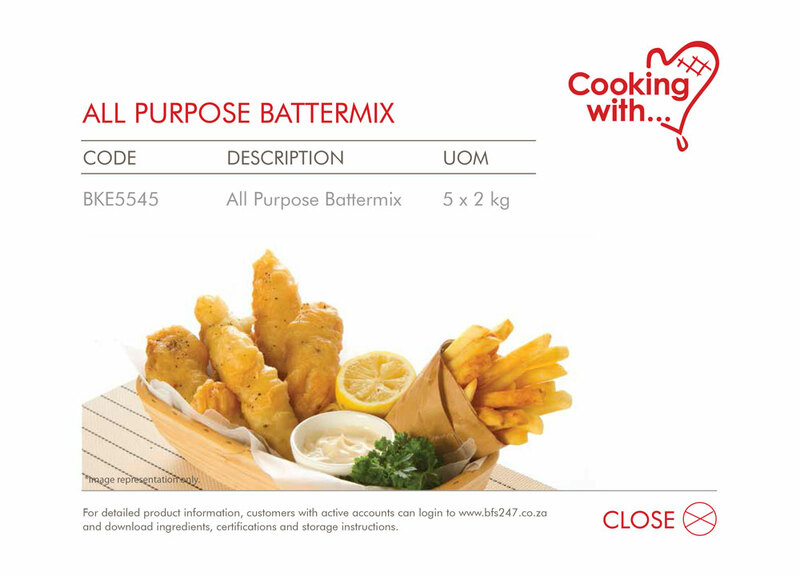 Suitable for caterers, hotels and restaurants. 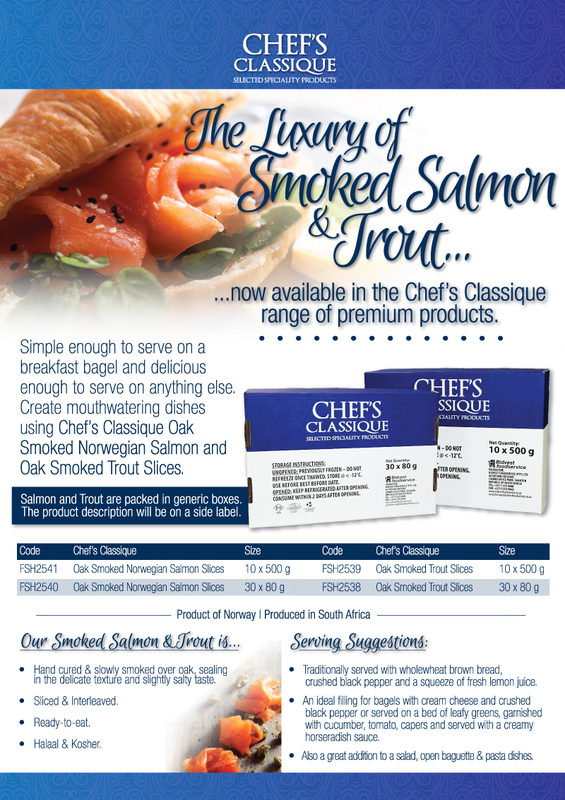 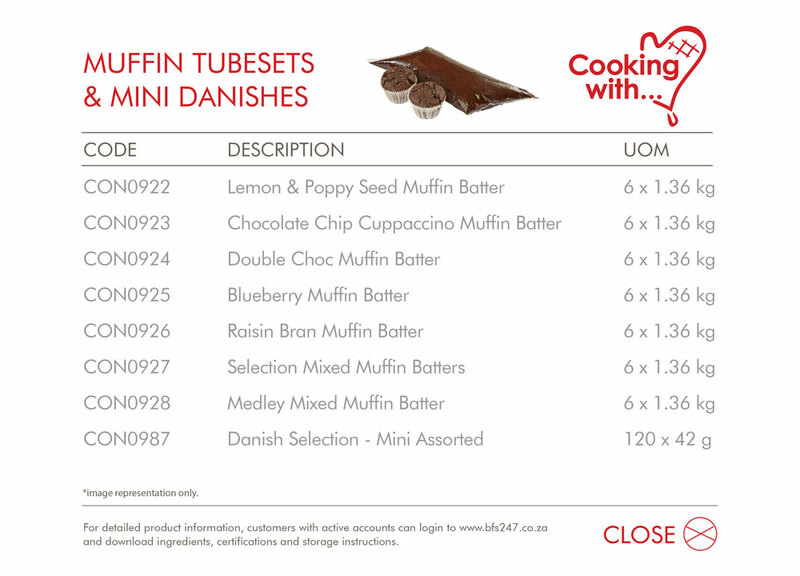 These great tasting, fit for purpose lines, will deliver our promise of quality and affordability you can trust. 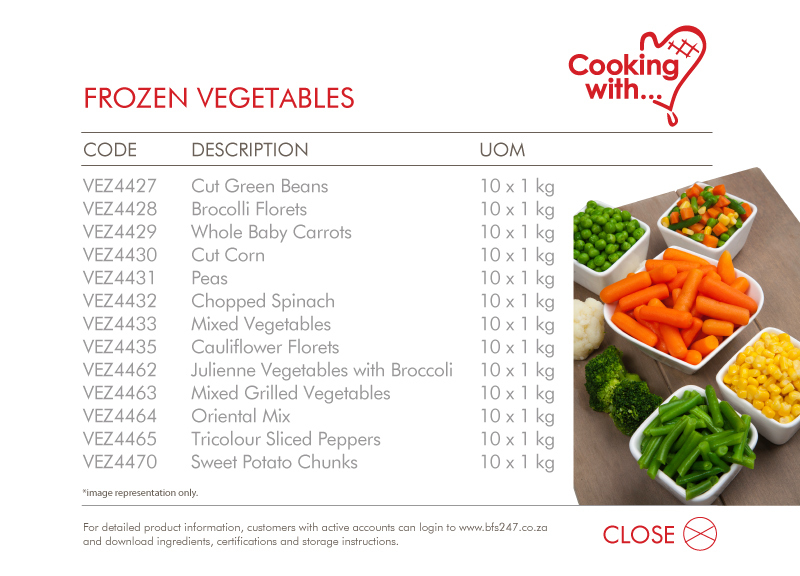 Cooking with… Frozen Vegetables have been freshly harvested and frozen to preserve their quality, colour and flavour. 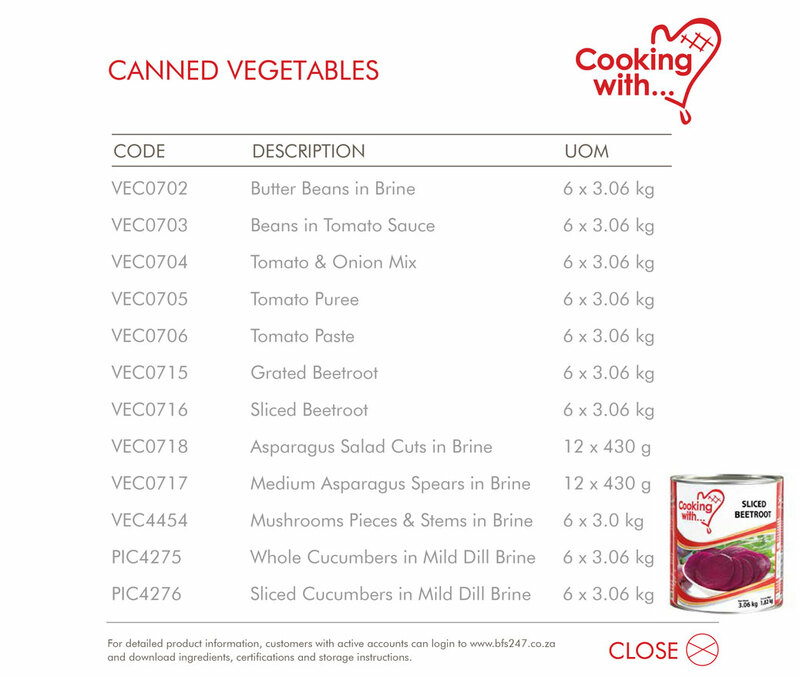 Our frozen vegetables can be prepared from frozen by steaming, boiling or stir frying. 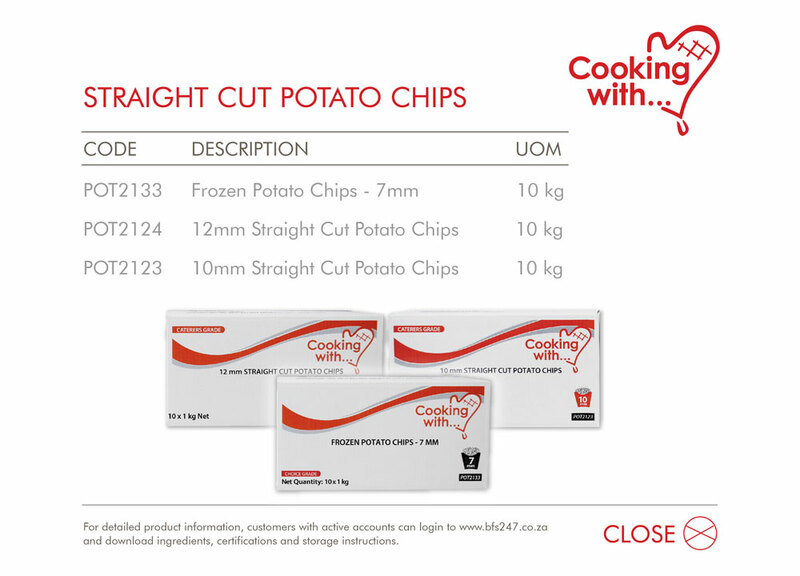 Available in 10mm and 12mm, the Cooking with...Straight Cut Potato Chips deliver a high quality texture, delicious taste and consistent cut size that will have your patrons asking for more. 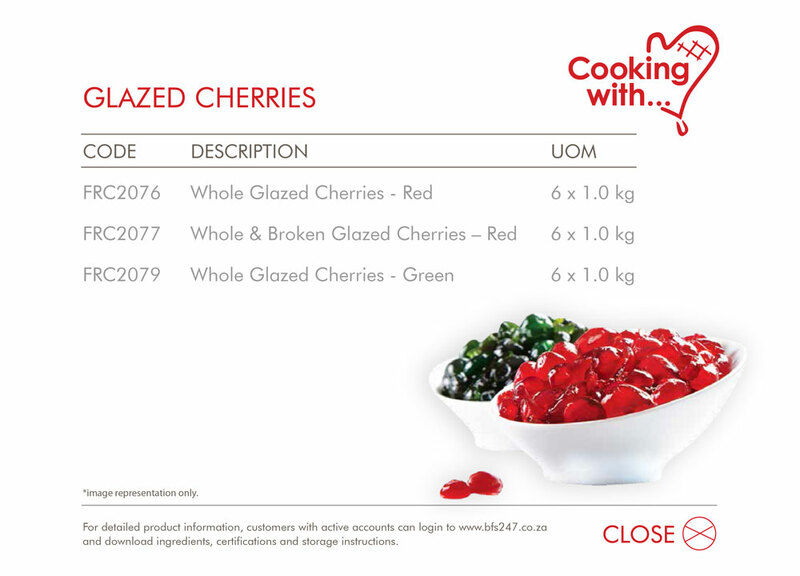 Berries are one of the world’s most beautiful foods. 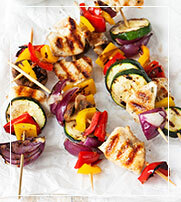 Offering bright, vibrant, bold colours, textures and flavours. 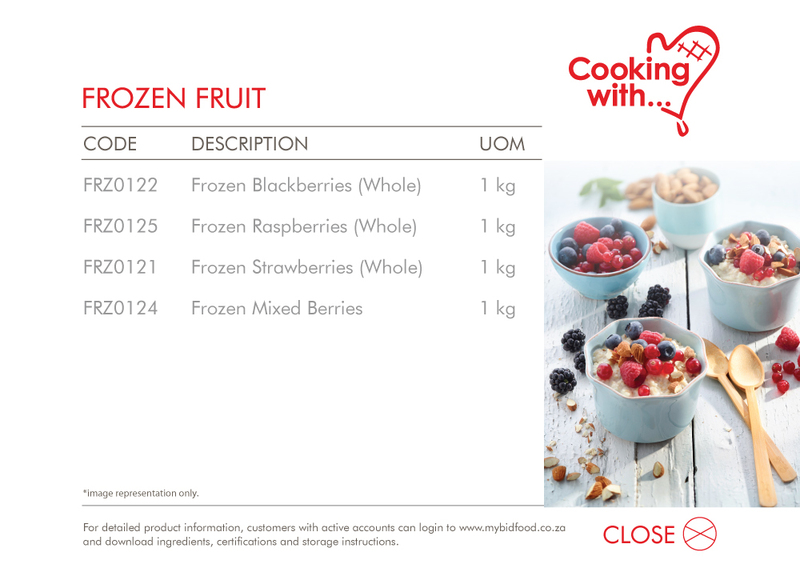 Frozen berries allow you to enjoy the sweet taste of summer all year round, only quality selected, whole berries are packed in the Cooking with... range. 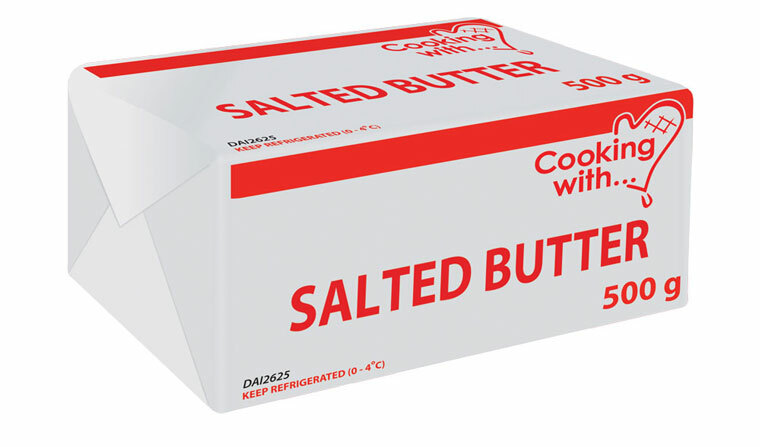 Packing with... 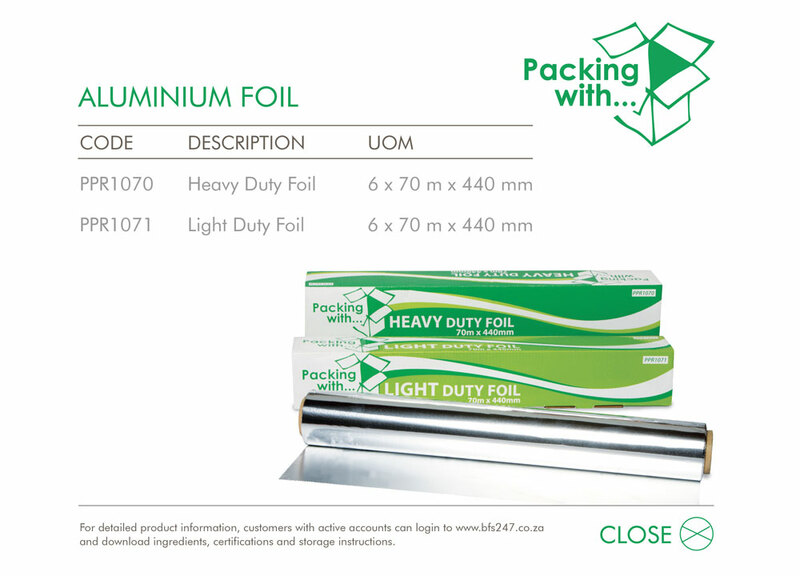 Heavy Duty and Light Duty Foil, is the smart foil choice when roasting, baking, cooking, freezing or heating. 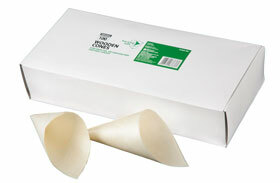 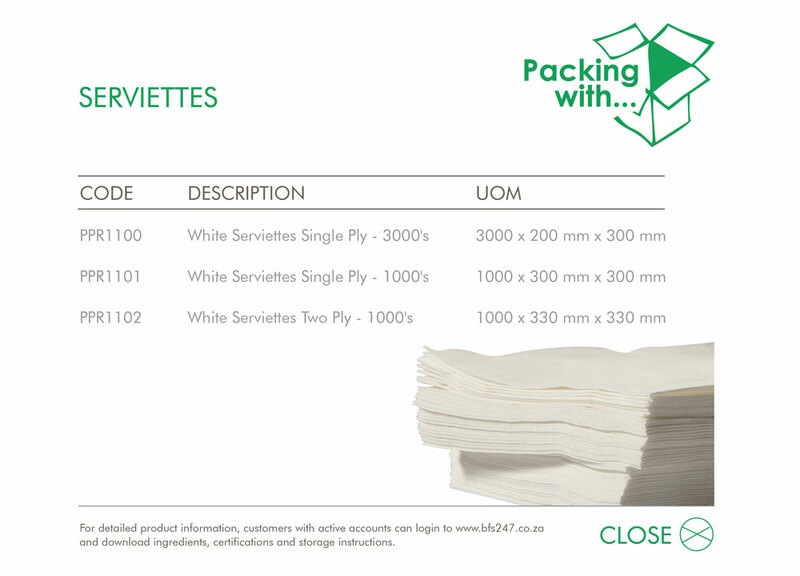 Packing with... Serviettes, is the smart choice when offering the customer a soft, high quality grade paper serviette. 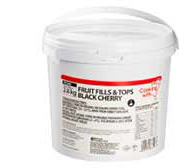 Easy to store and competitively priced - there’s a solution for any type of establishment. 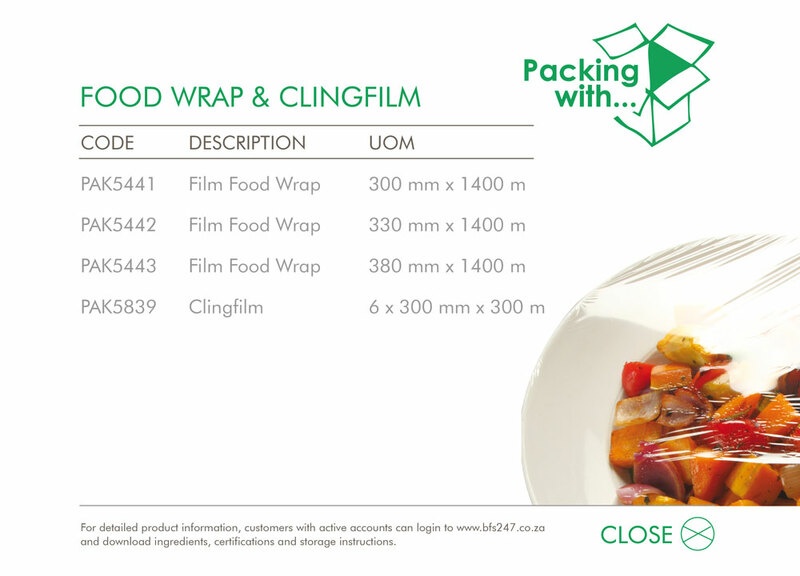 Wrap in the freshness with Packing with... Food Wrap and Clingfilm. 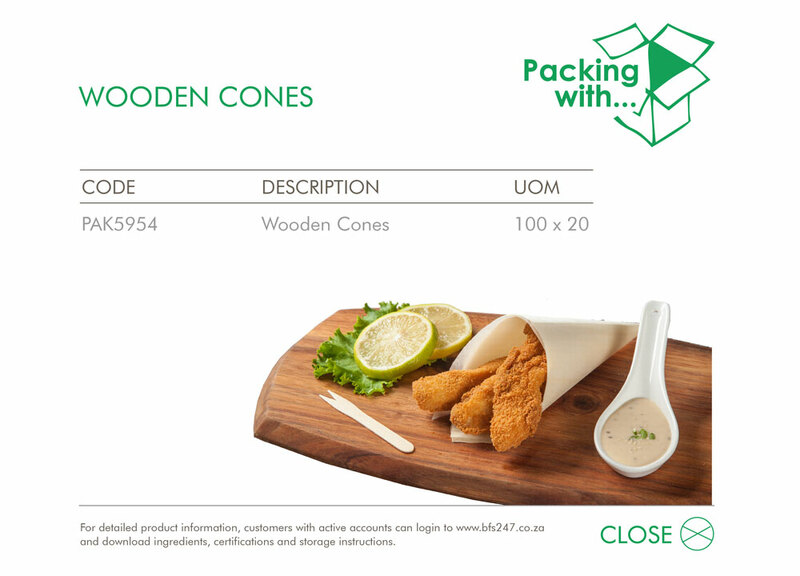 Easy to handle, hygienic and microwave safe. 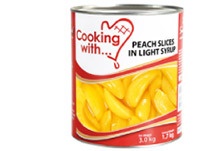 The Clingfilm comes with a handy cutting mechanism. 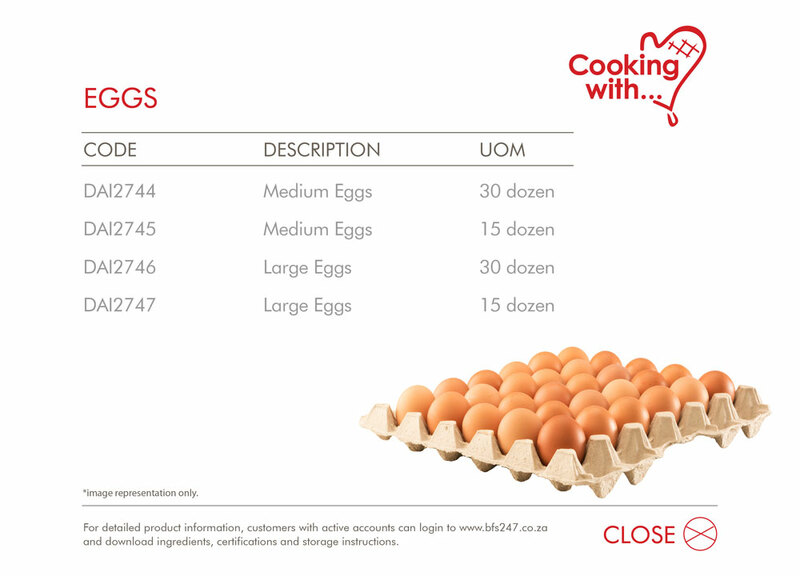 Economical, cost effective and stackable for space saving. 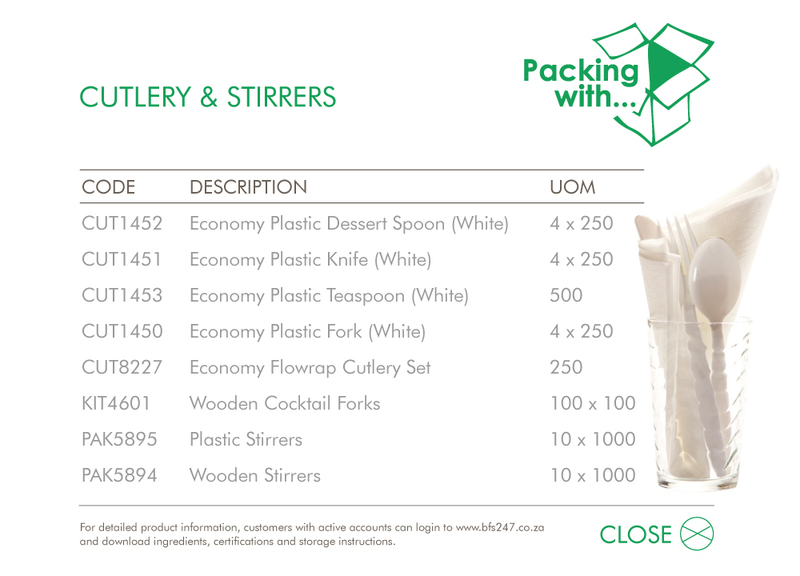 A comprehensive range of economy cutlery, wooden cutlery and stirrers that are an economical addition to the takeaway solution. 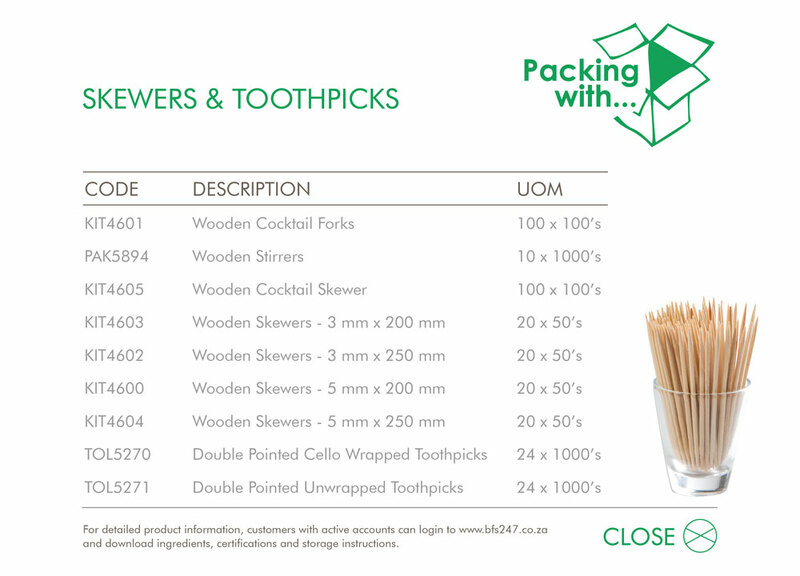 Made from Grade A White Birchwood the Packing with... range of wooden skewers and toothpicks are the smart choice for the everyday kitchen. 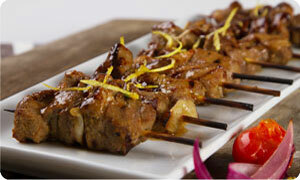 The skewers come in four different sizes and the double pointed toothpicks are available wrapped or unwrapped. 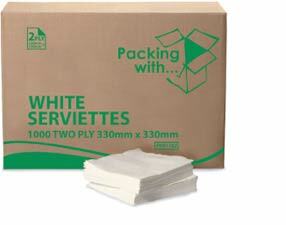 Packing with... 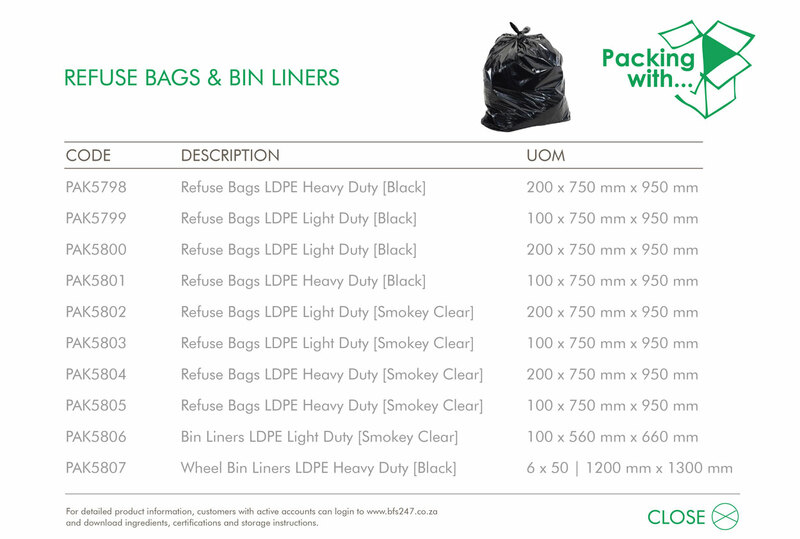 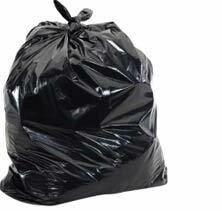 Refuse Bags and Bin Liners are a necessity for every establishment. 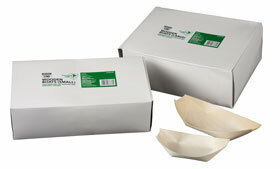 Durable, reliable and recyclable! 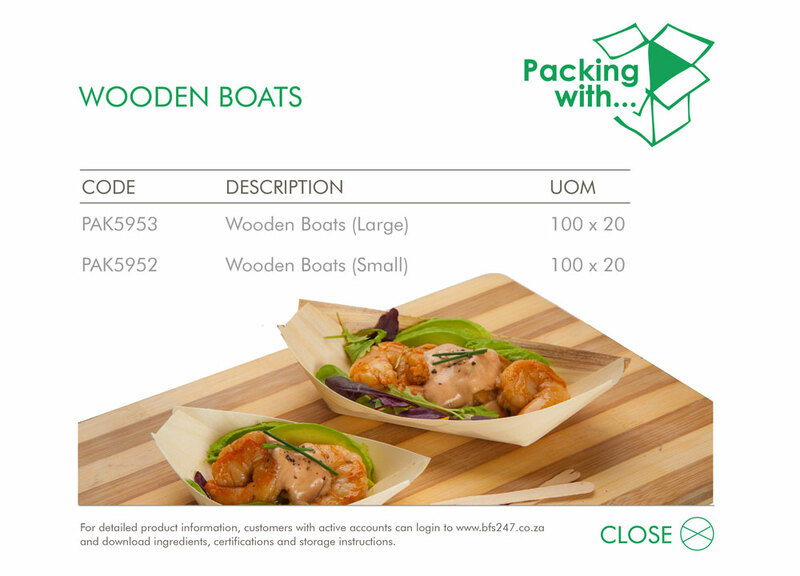 Serving in style… A simple & convenient way to up the presentation of your food that is stylish and disposable! 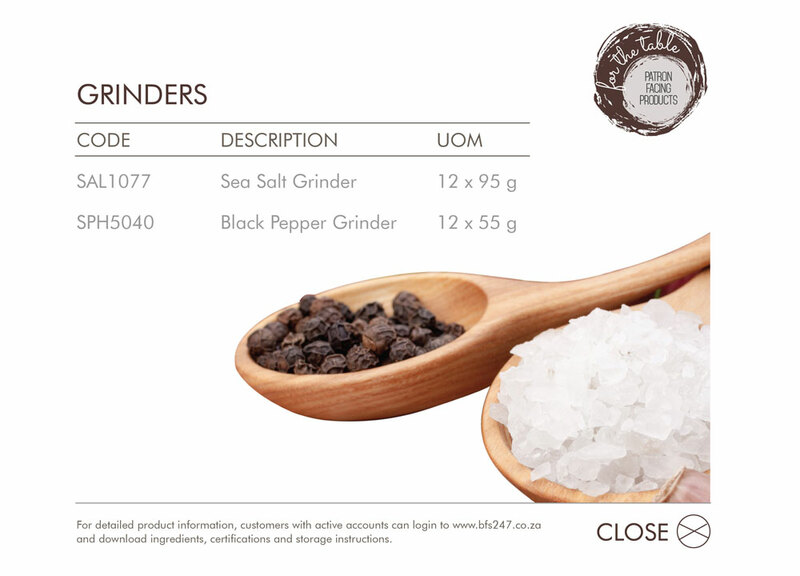 The convenient size, durable grinding mechanism and slim-line glass bottle makes For the Table Sea Salt and Black Pepper Grinders the perfect table top seasoning solution. 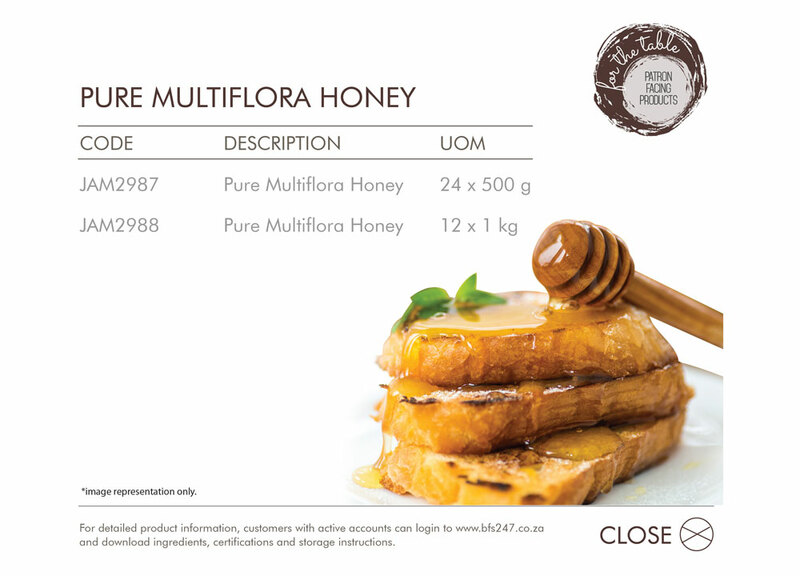 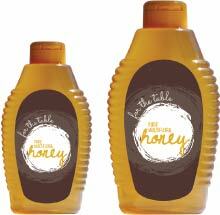 Made from 100% pure honey, For the Table Honey is suitable for both front and back of house. 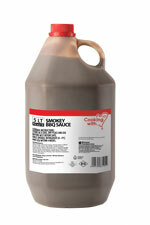 The convenient squeeze bottle makes it the perfect serving solution to accompany your breakfast or tea offering. 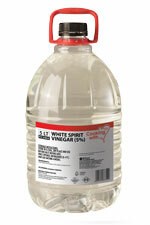 Store & Pour! 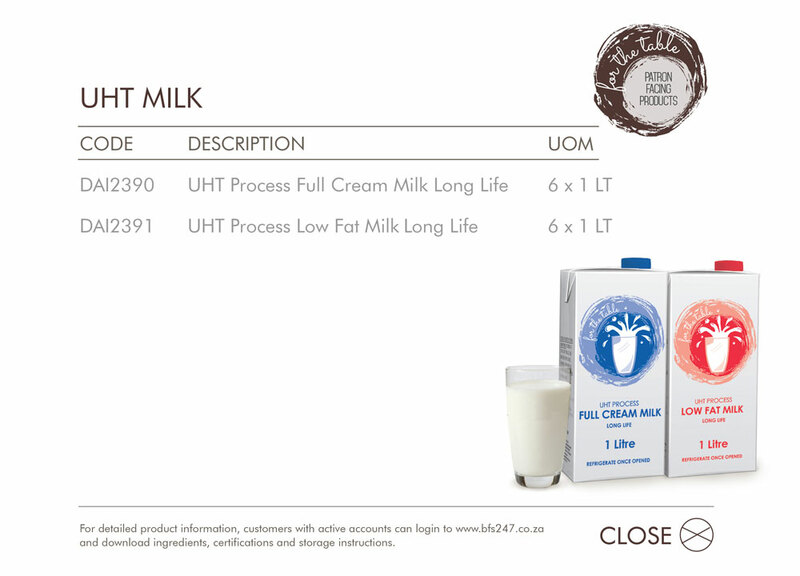 Halaal and Kosher certified, the great tasting and convenient, For the Table UHT Milk can be stored for 6 months before opening. 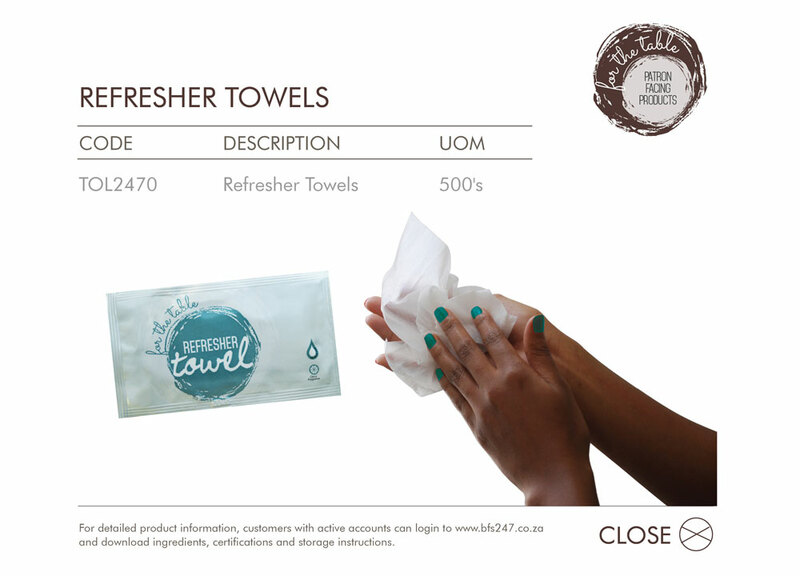 For the Table Refresher Towels are an essential item for any establishments patron hygiene offering. 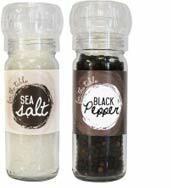 Individually wrapped, with a citrus fragrance and alcohol free, they offer great grab and go convenience. 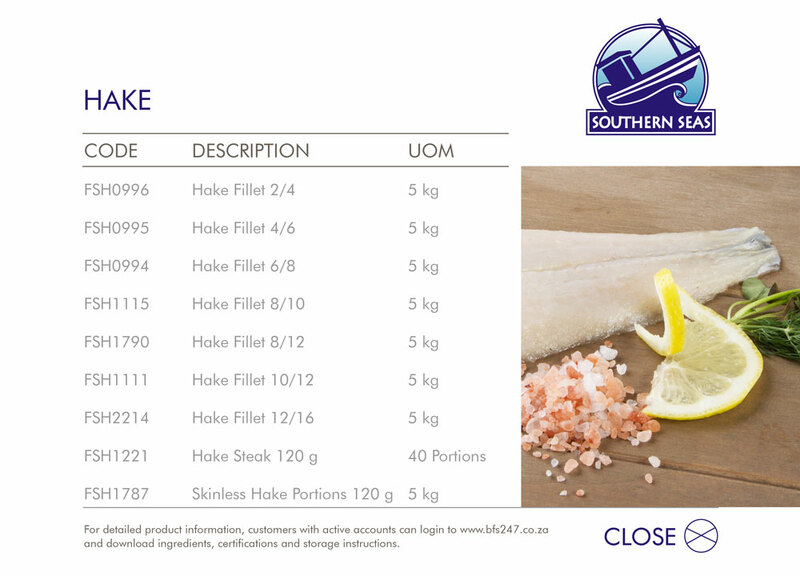 Hake is a sustainable and popular white fish with a soft and flaky texture. 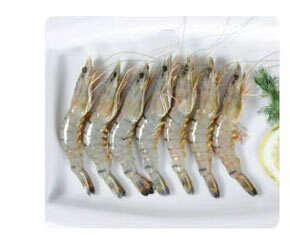 It is ideal for a variety of seafood dishes that can be prepared in many different ways. 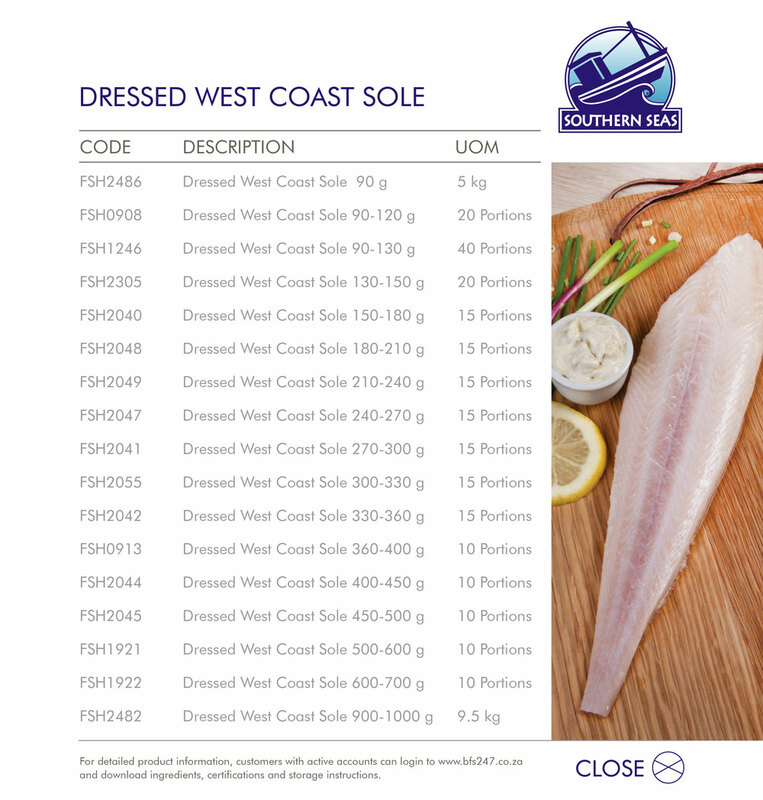 Bidfood offers a variety of Hake fillets that are conveniently packed and available in 5 kg boxes. 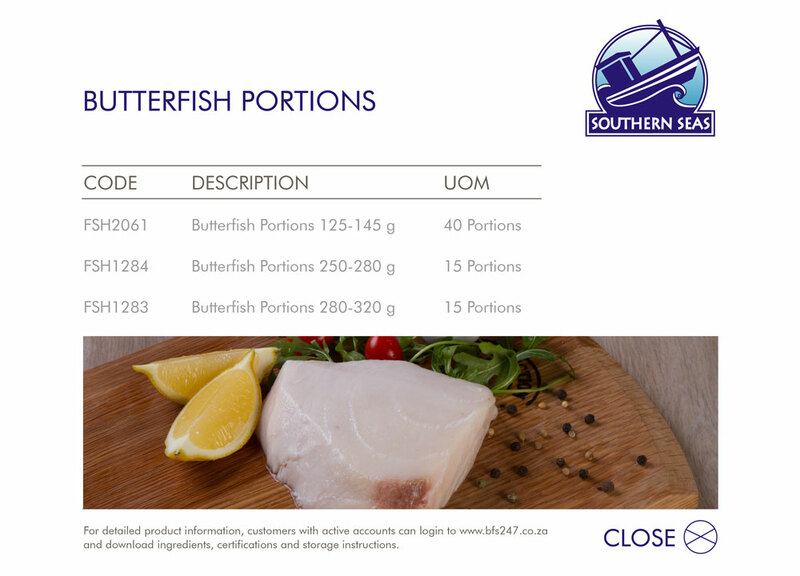 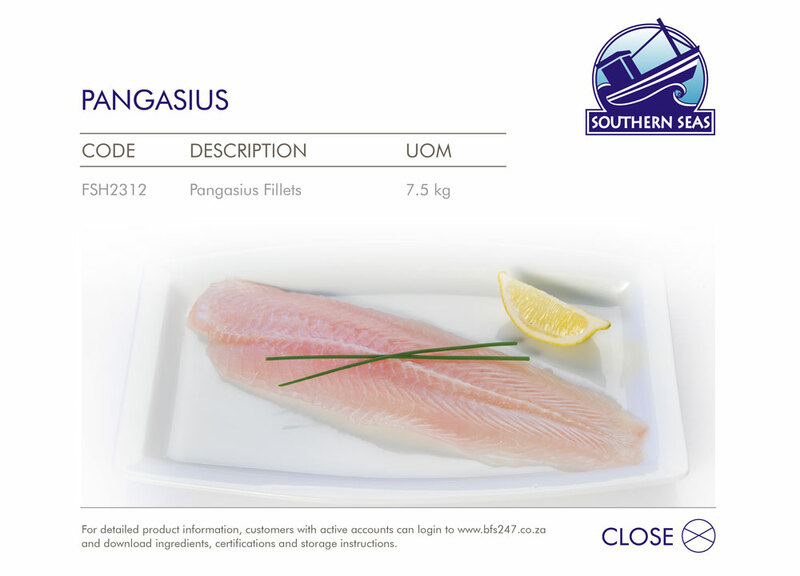 Southern Seas offers a wide range of Line Fish that have been caught and then frozen at sea. 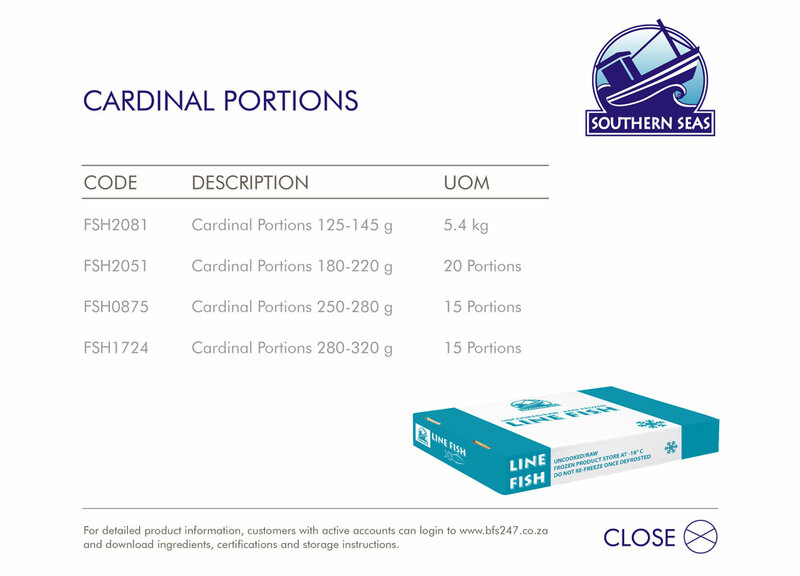 Conveniently packed into portion sizes, these lines are easy to store and issue. 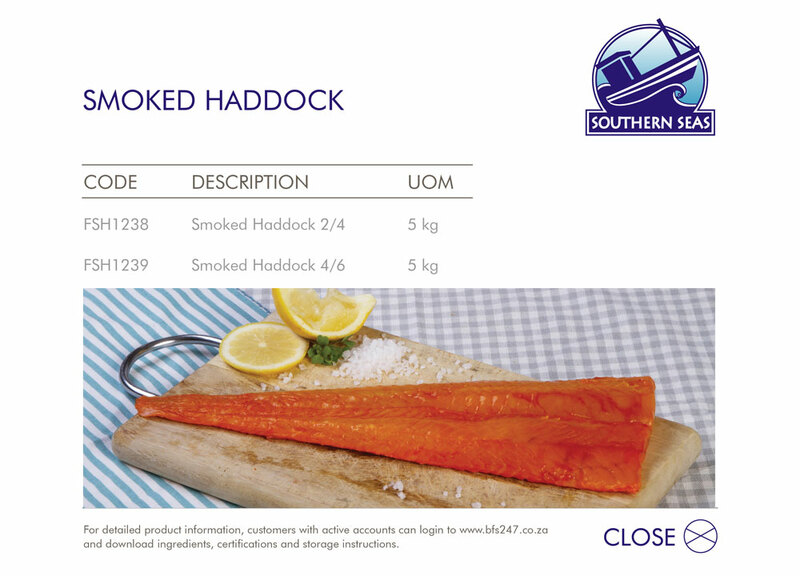 Southern Seas Smoked Products offer a selection of fish that has been cured by smoking. 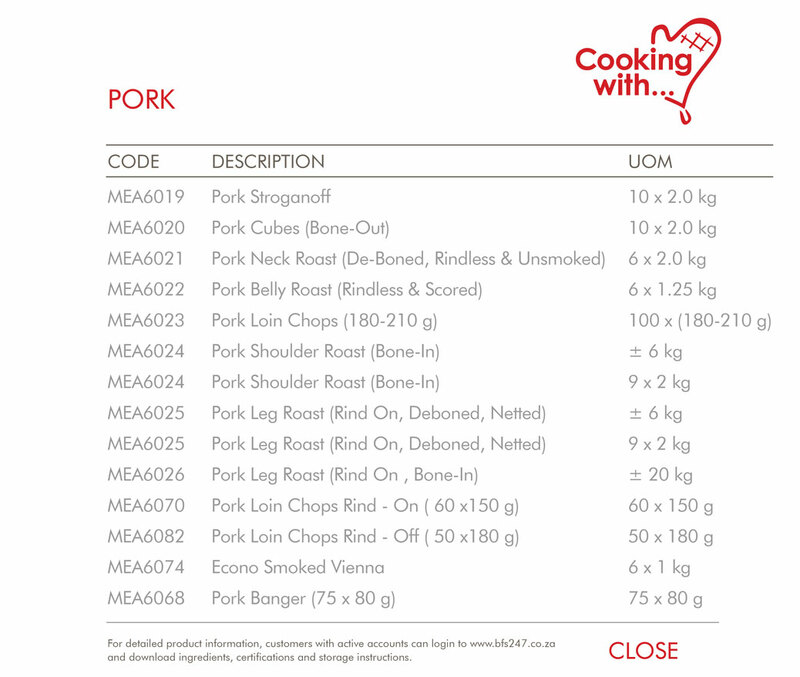 These lines have been partly cooked and with little preperation is ready to eat and can be used on a variety of menu offerings. 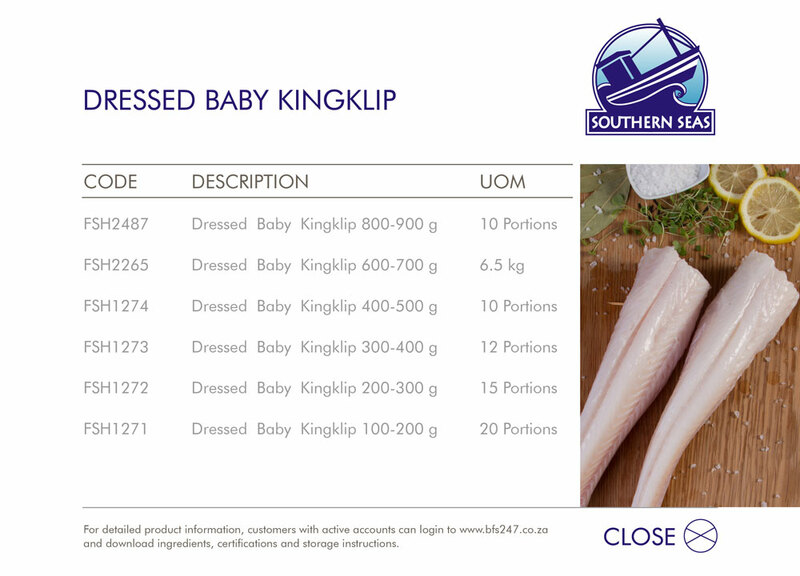 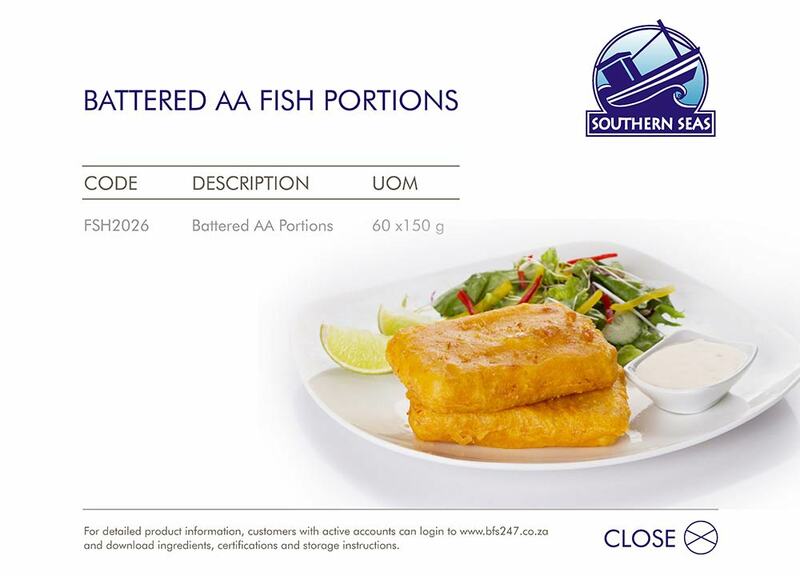 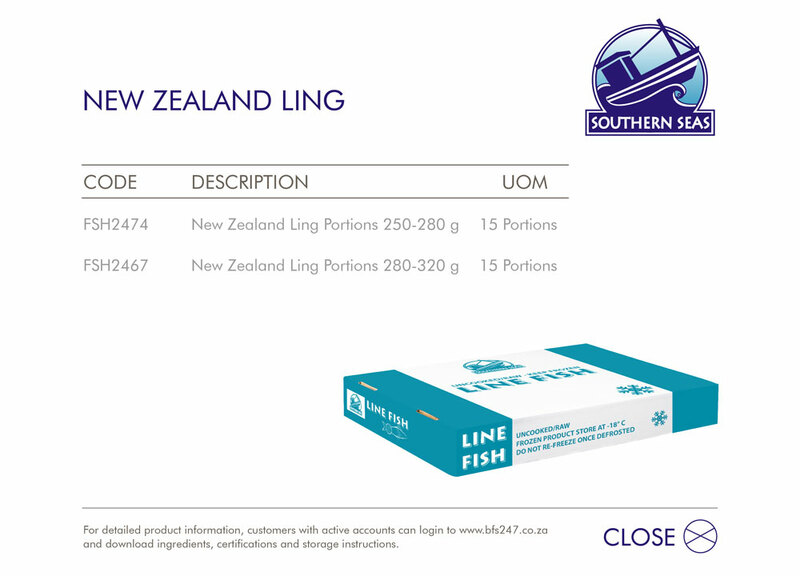 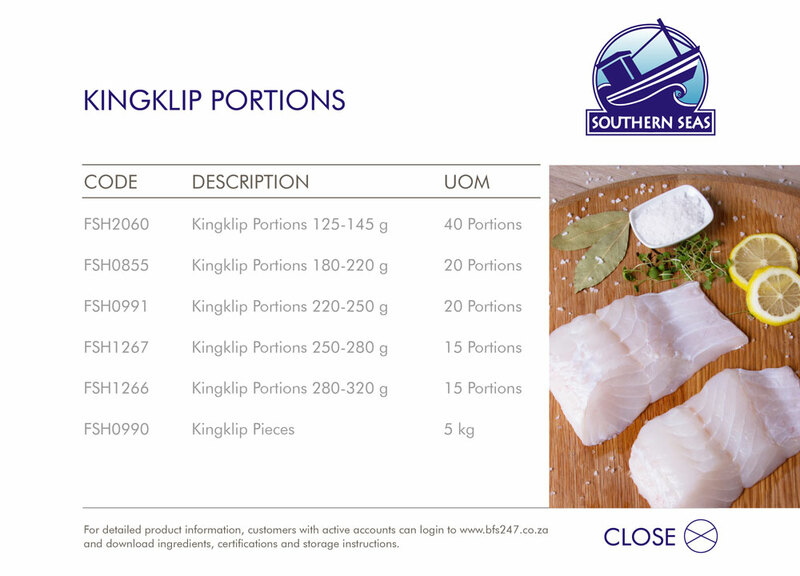 The Southern Seas Coated Fish range offers consistent quality, texture and taste. 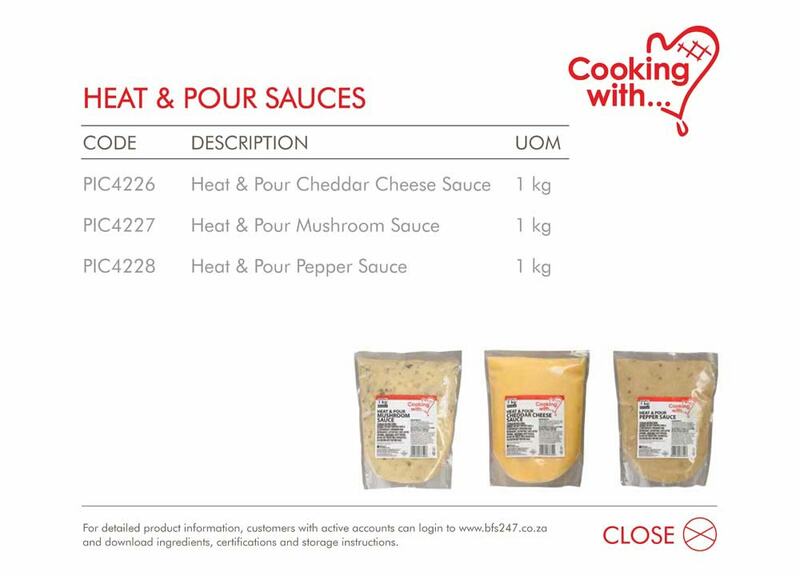 These products save you time as they can be cooked directly from frozen and perform well across different cooking applications. 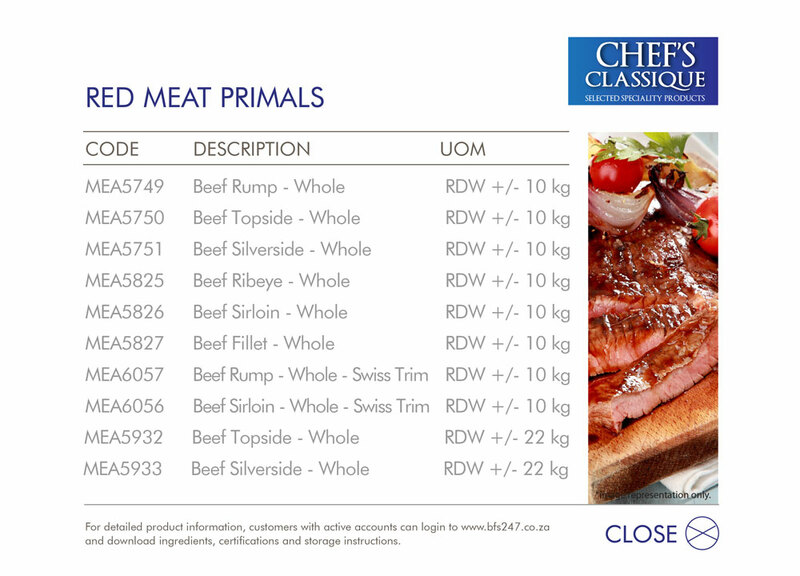 A must for every menu, Chef’s Classique has teamed up with Sparta Beef and Karan Beef to bring you a range of premium chilled red meat primals, including Fillet, Rump, Silverside, Topside, Ribeye and Sirloin. 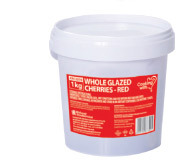 Now also available in 10 kg packs! 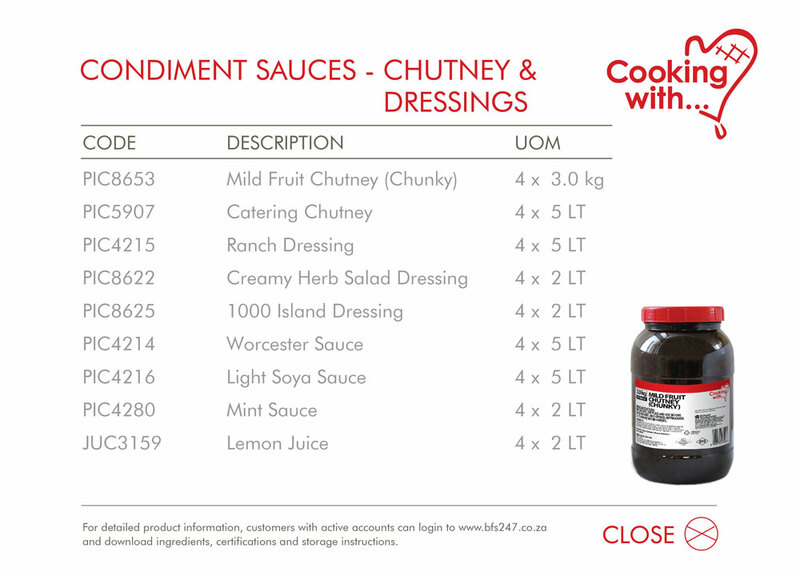 Perfect for restaurants & hotels. 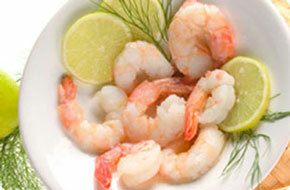 A selection of seafood that is quick and easy to prepare, prawns are the star in a range of seafood dishes. 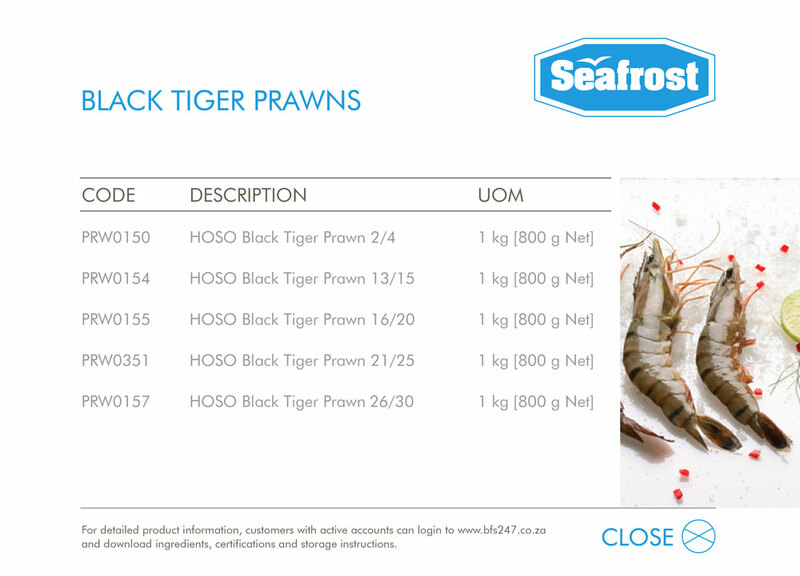 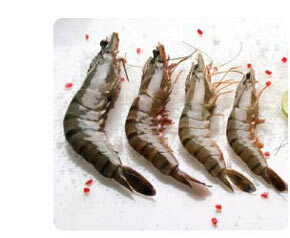 Seafrost offers a variety of Black Tiger and Vannamei Prawns. 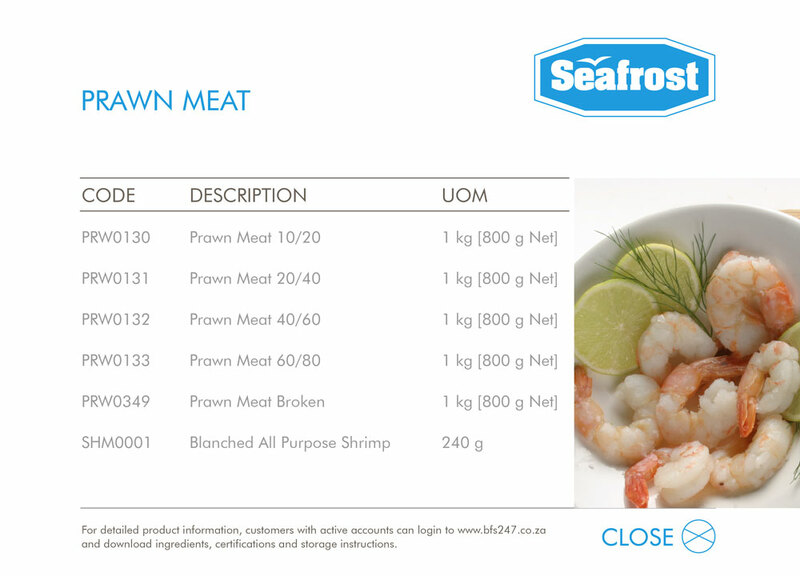 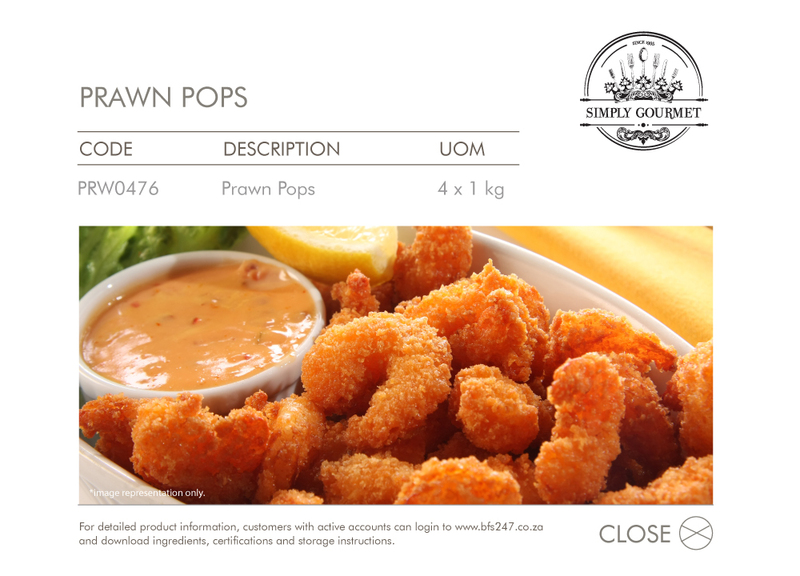 Seafrost Blanched Prawn Meat is a versatile and quaility product range that can be used to enhance or complement a variety of dishes. 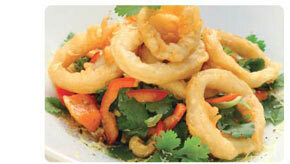 Calamari is a popular seafood option that is quick to prepare. 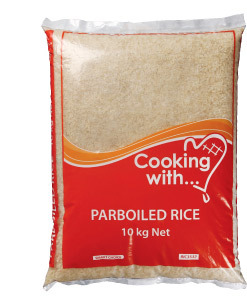 It is a versatile product that can be cooked using different preparation methods. 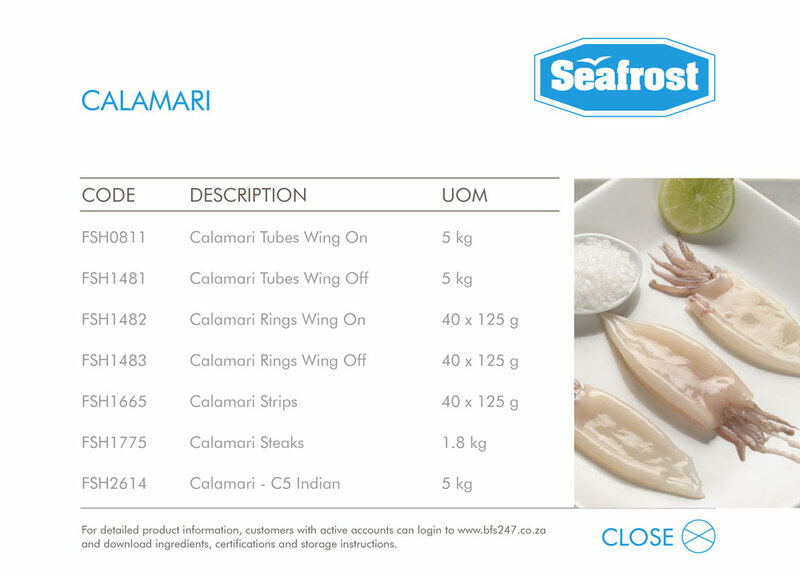 Seafrost offers a range of Calamari to best suit your menu. 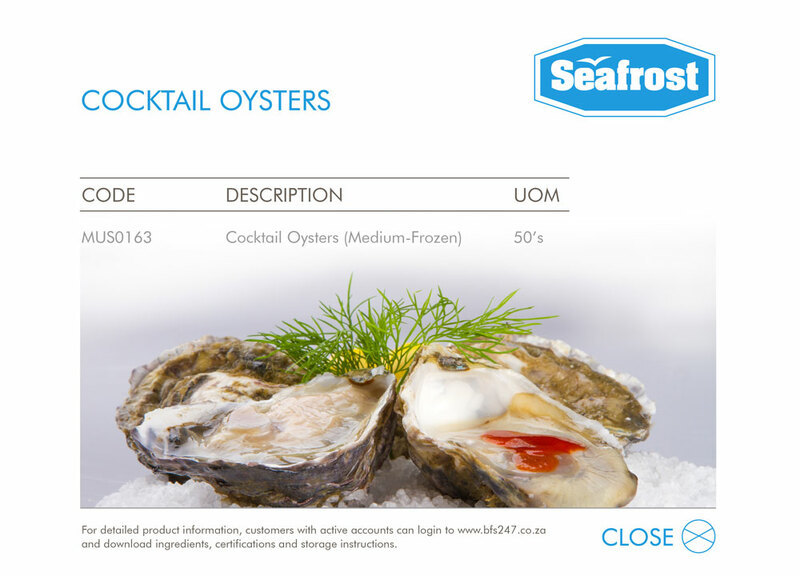 Harvested in the cold Namibian waters, Seafrost Cocktail Oyters are quick frozen at sea in their shells and packed in secure polystyrene boxes to preserve their freshness and taste. 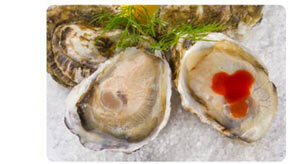 Simply defrost, shuck and arrange these delicious treatson a bed of ice to serve. 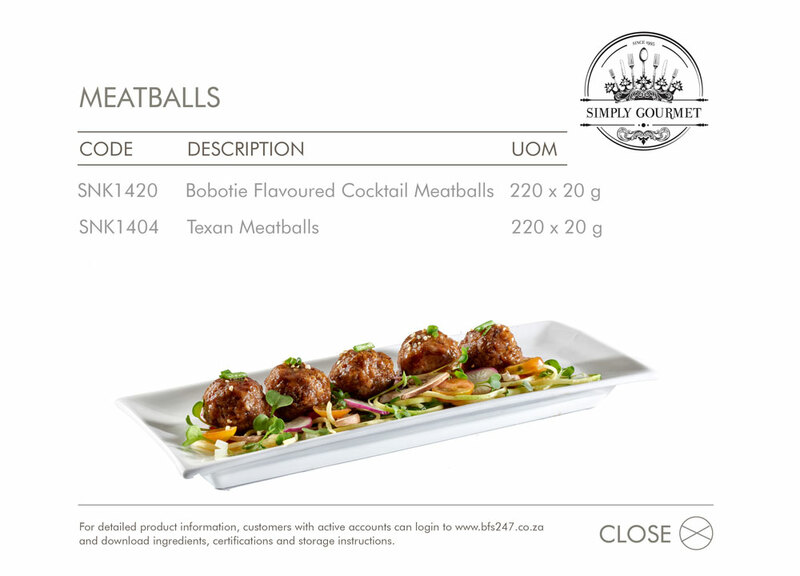 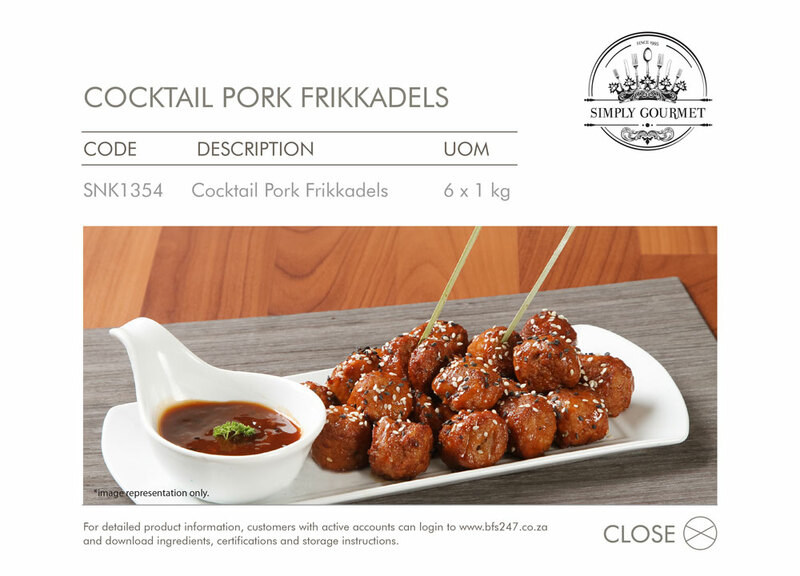 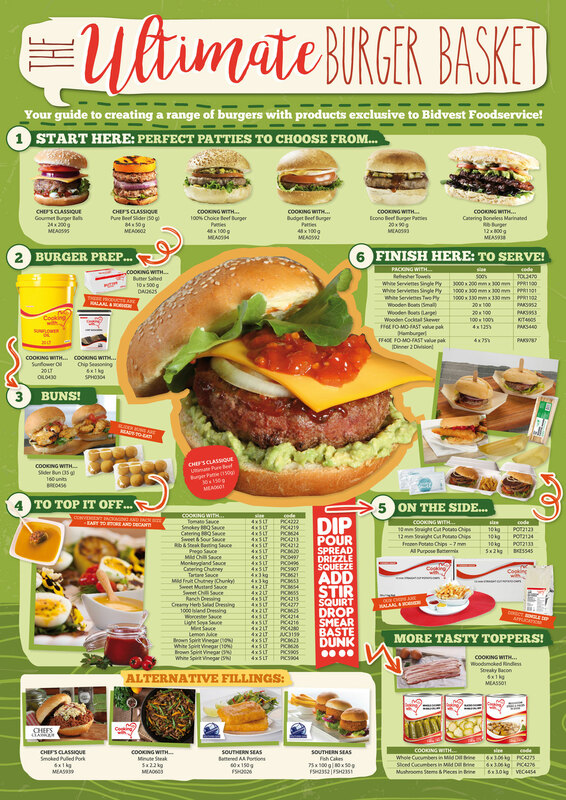 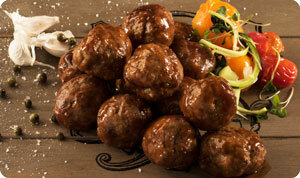 Simply Gourmet offers a select range of speciality produced value-added products. 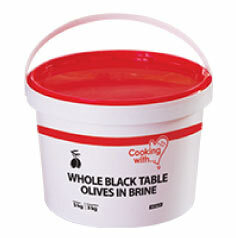 It is perfect for chefs who require an easy, pre-pared food solution for their operation. 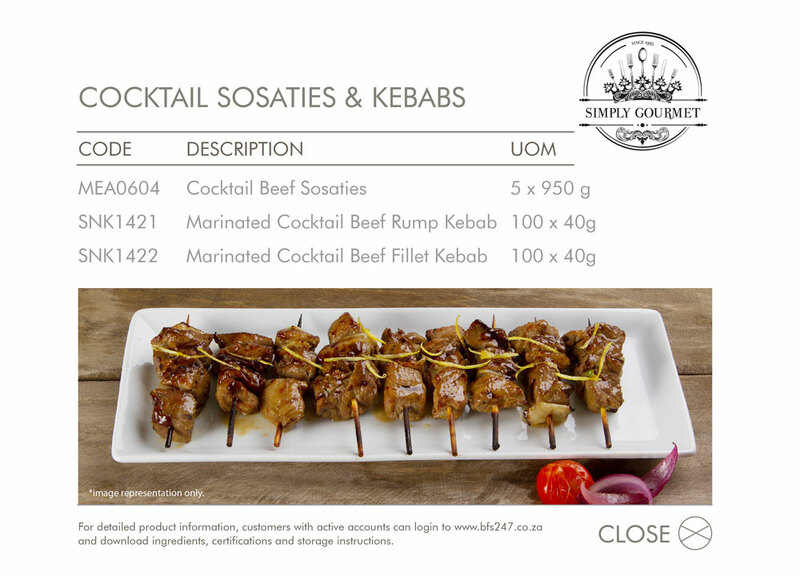 Simply Gourmet products are locally produced to deliver an authentic taste and are ready-to-use convenient products.